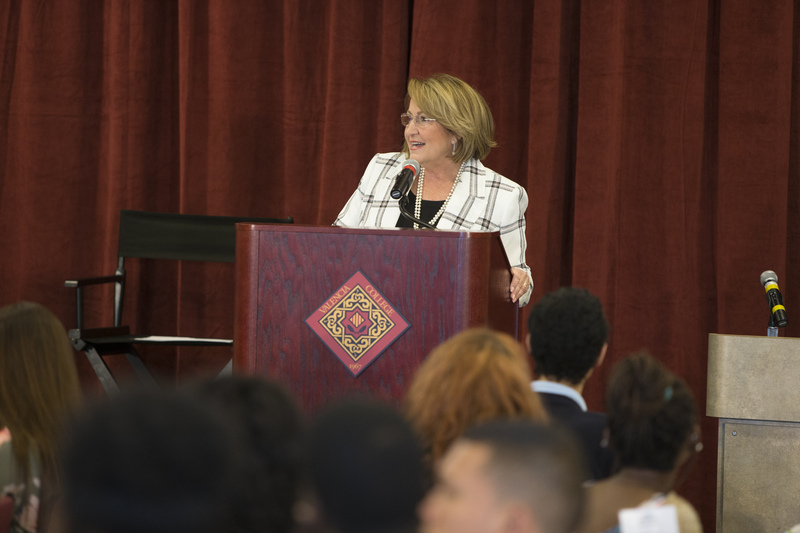 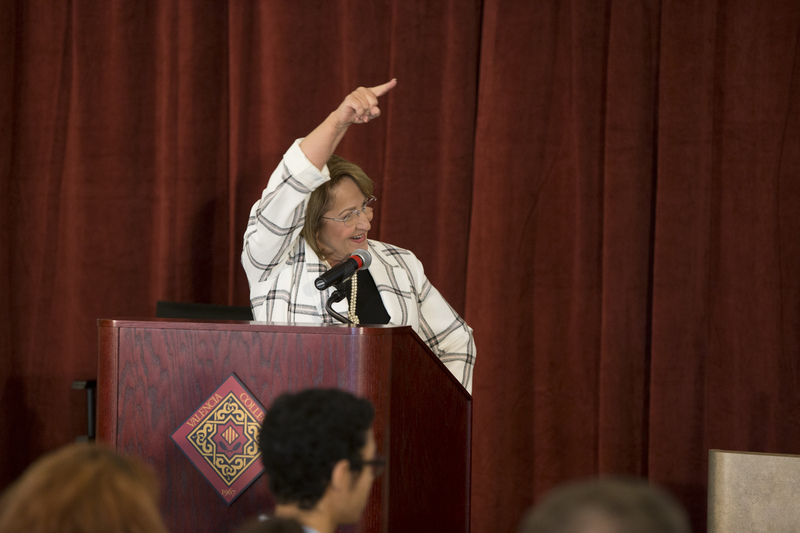 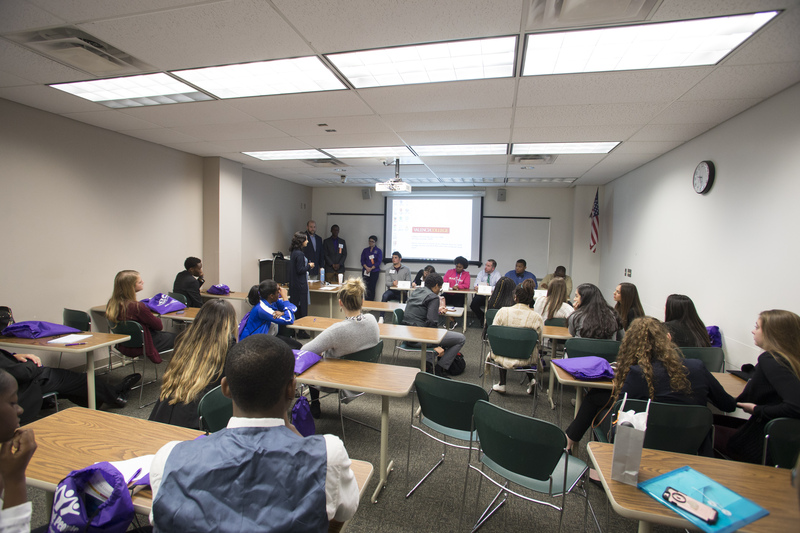 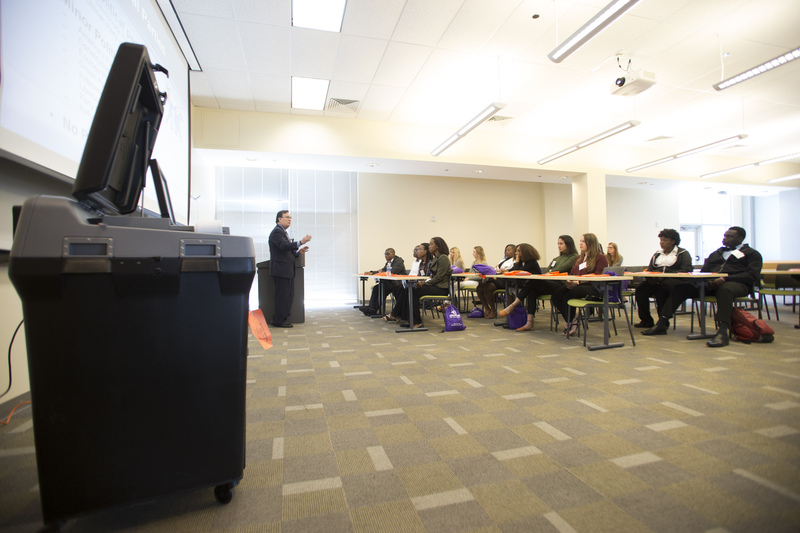 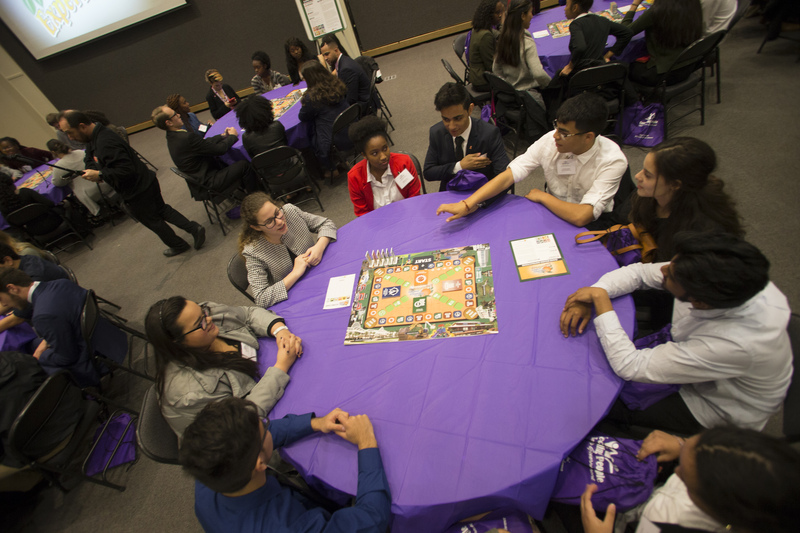 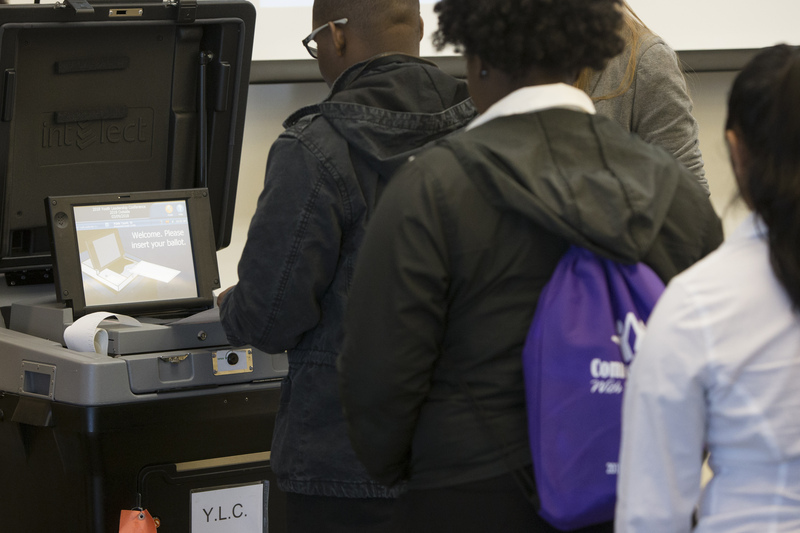 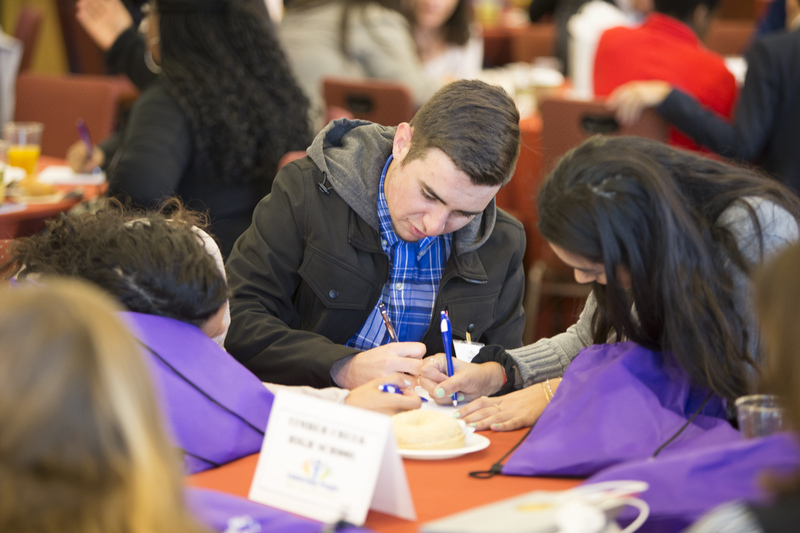 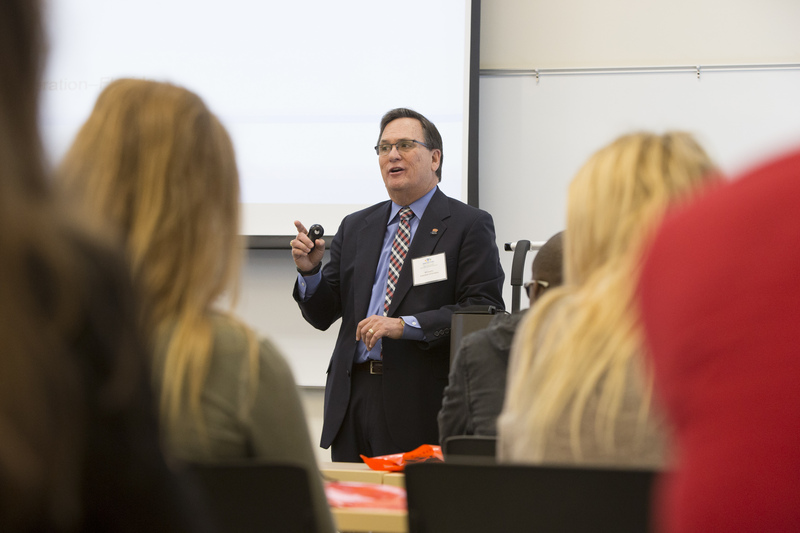 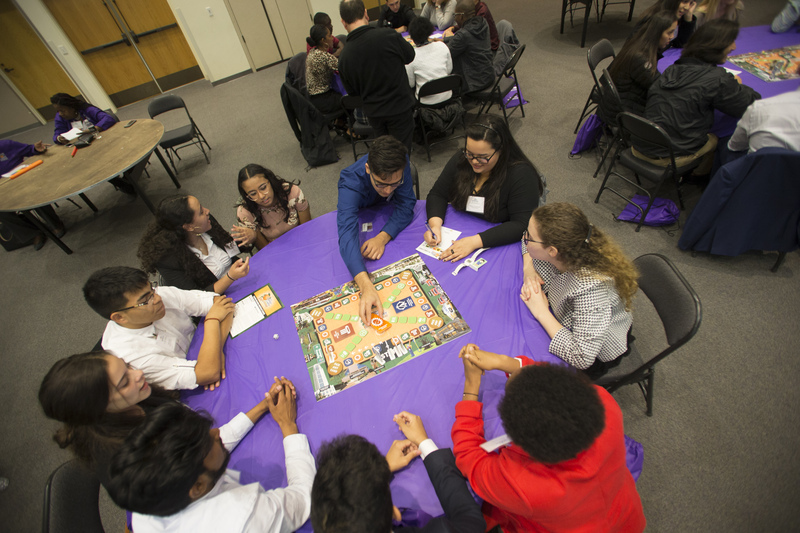 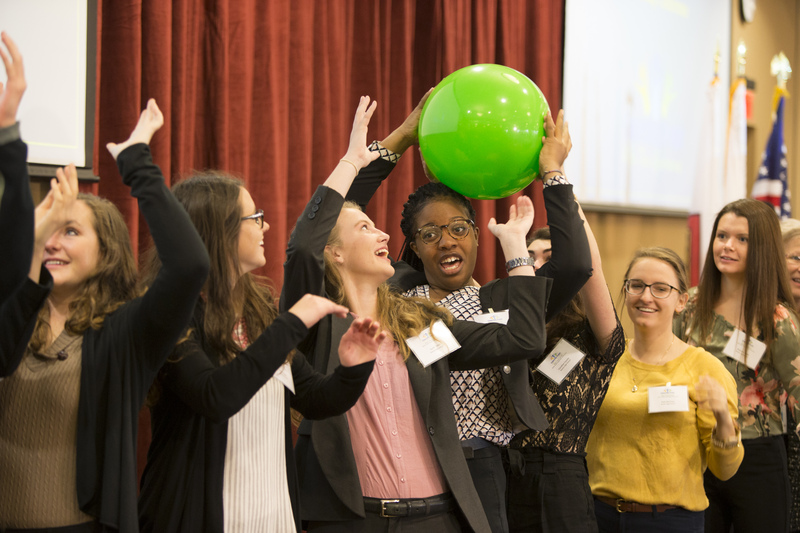 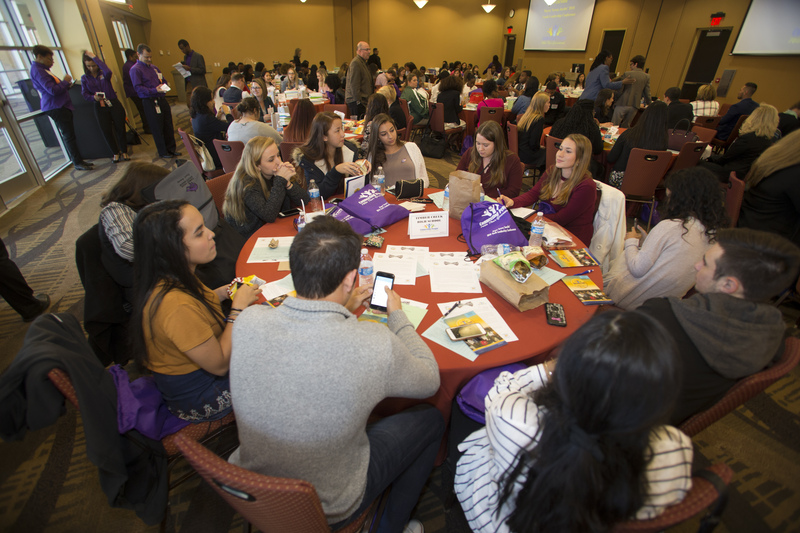 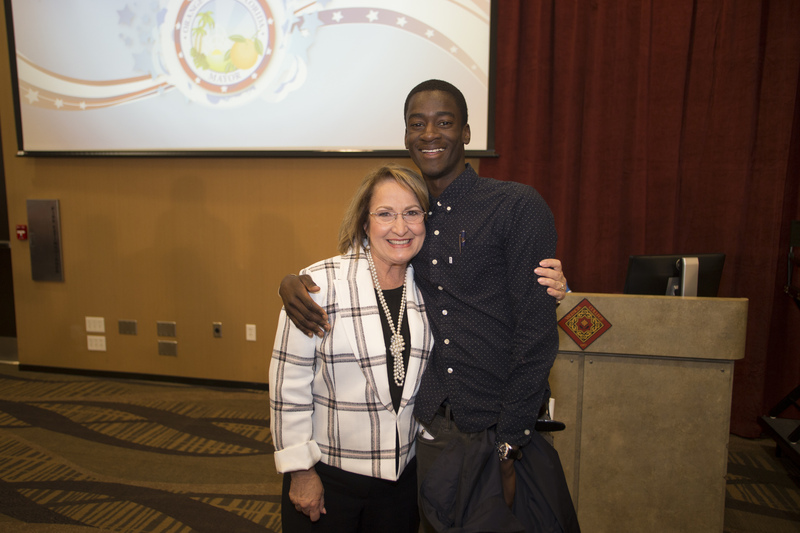 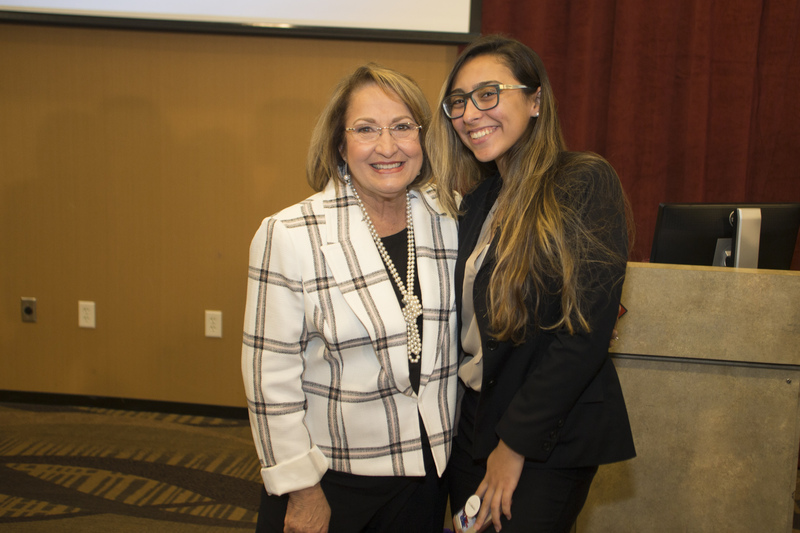 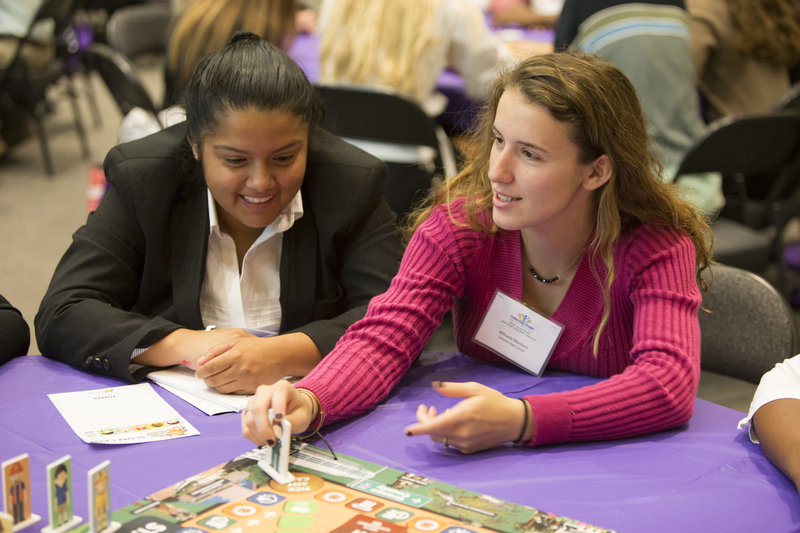 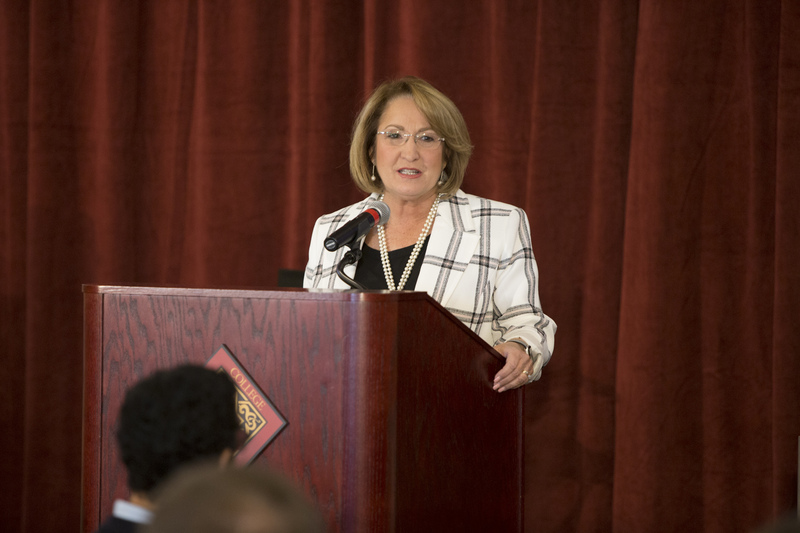 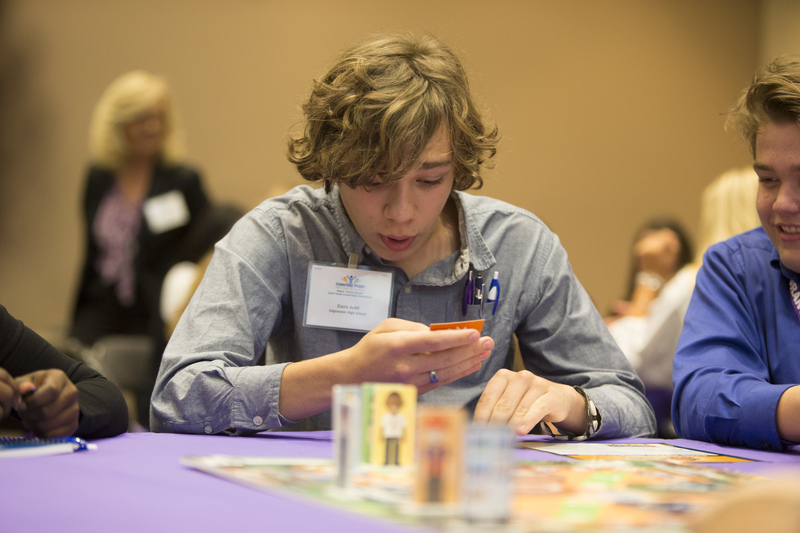 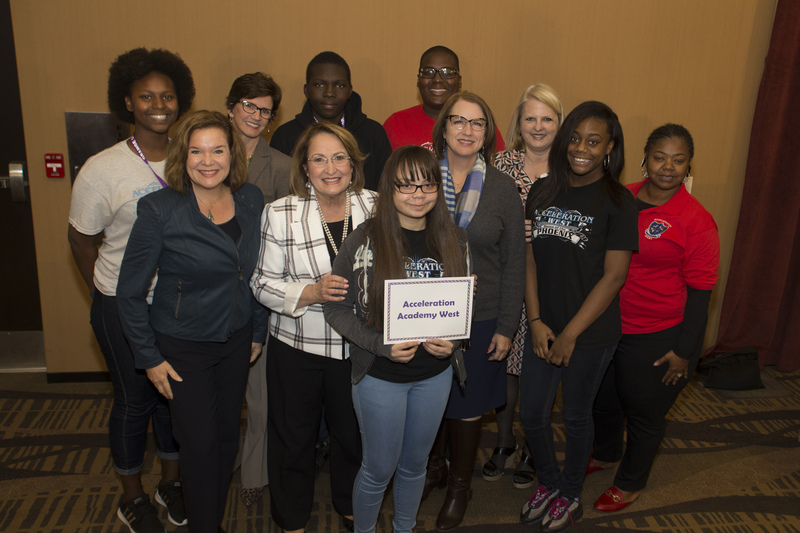 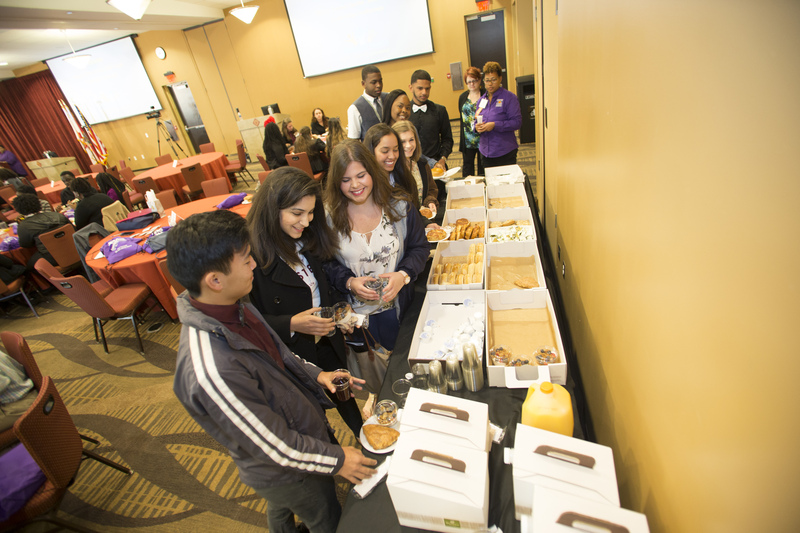 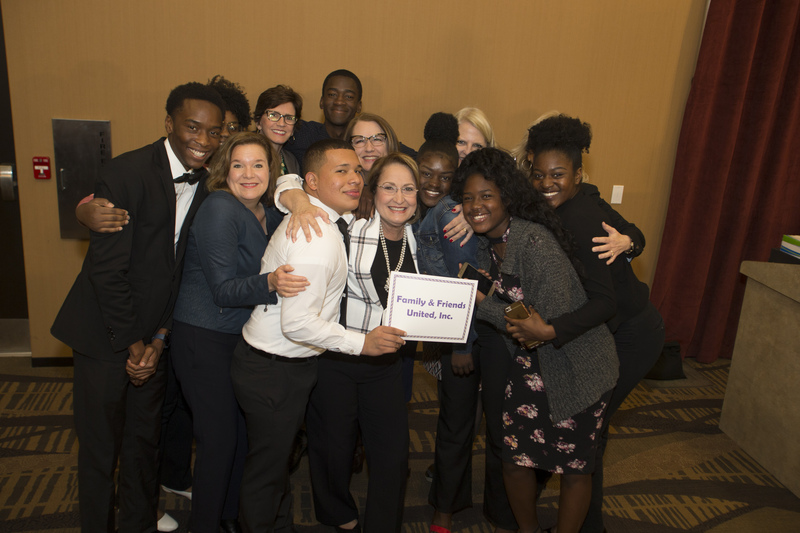 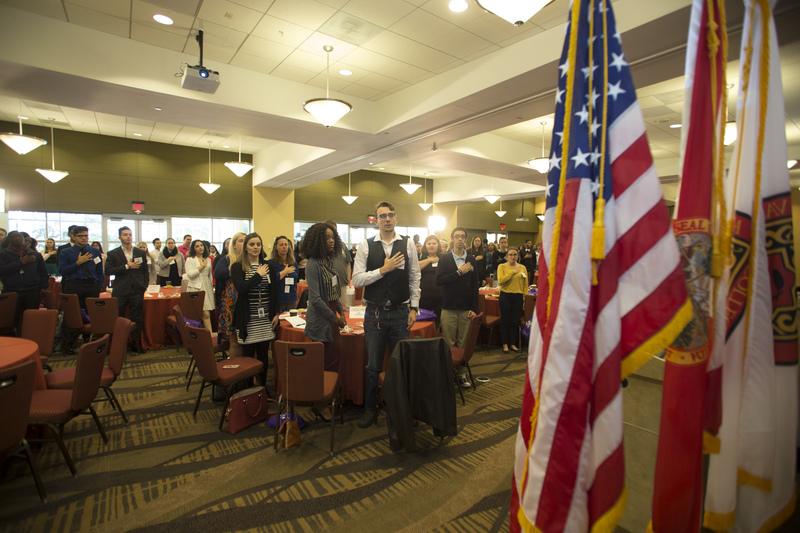 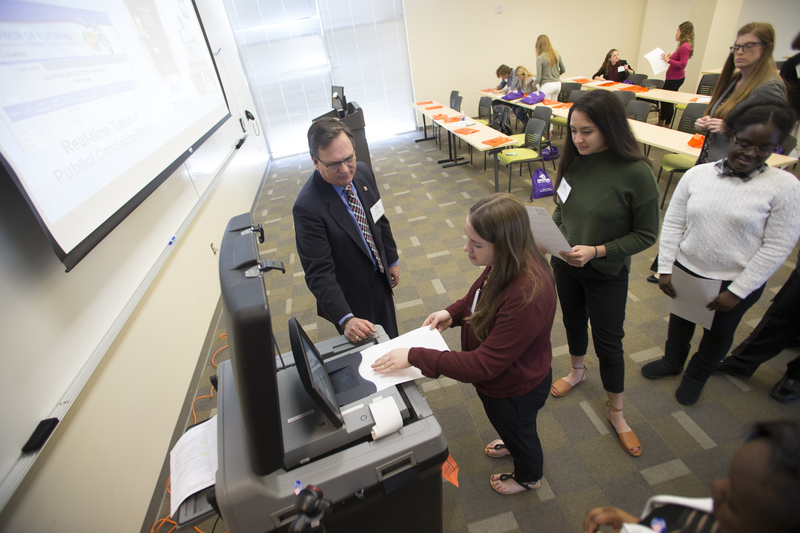 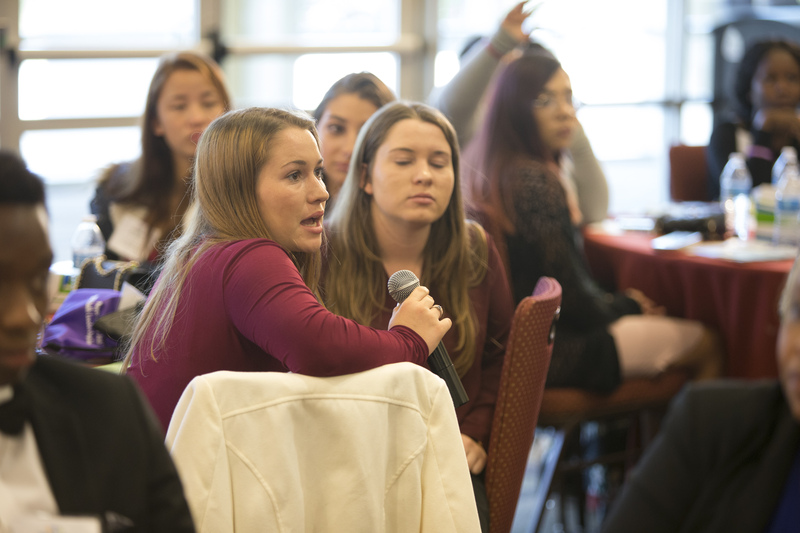 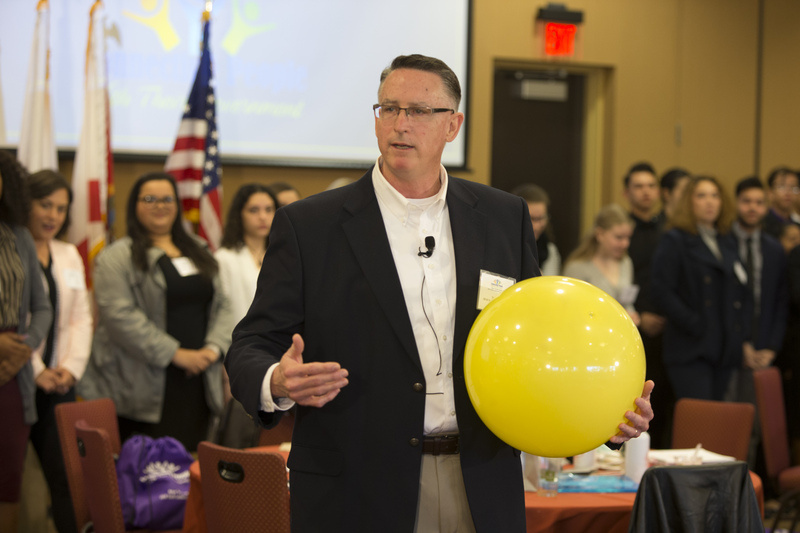 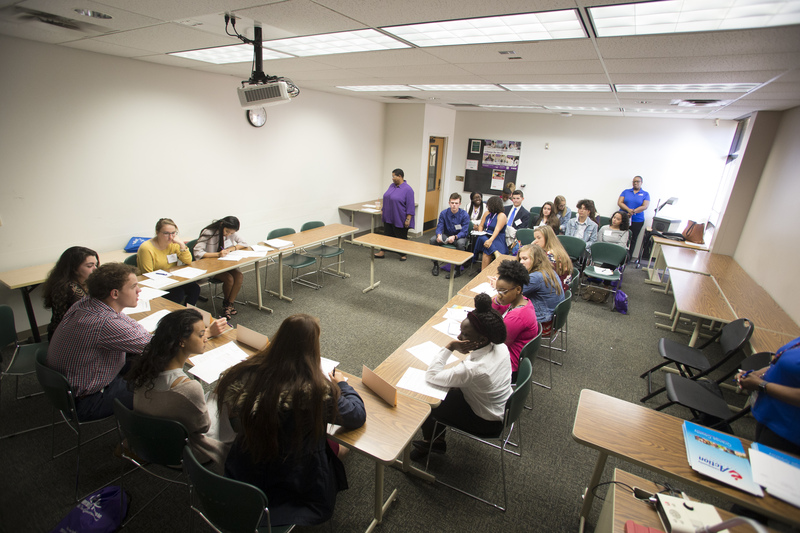 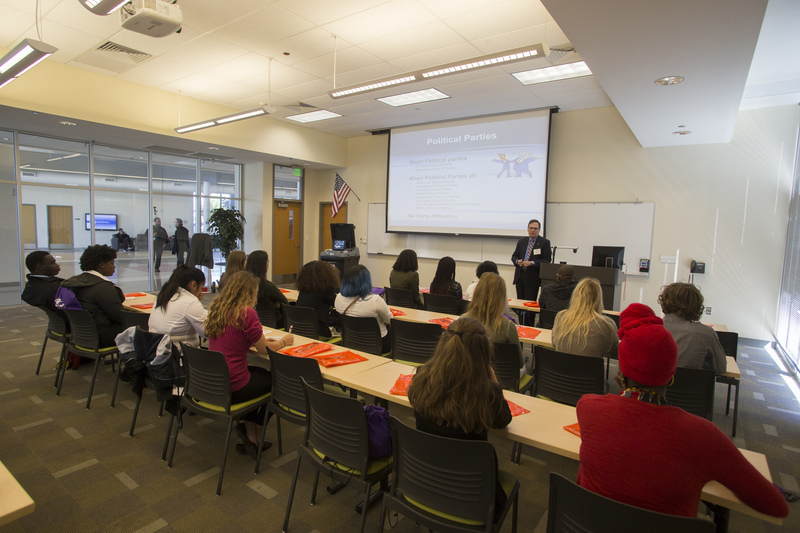 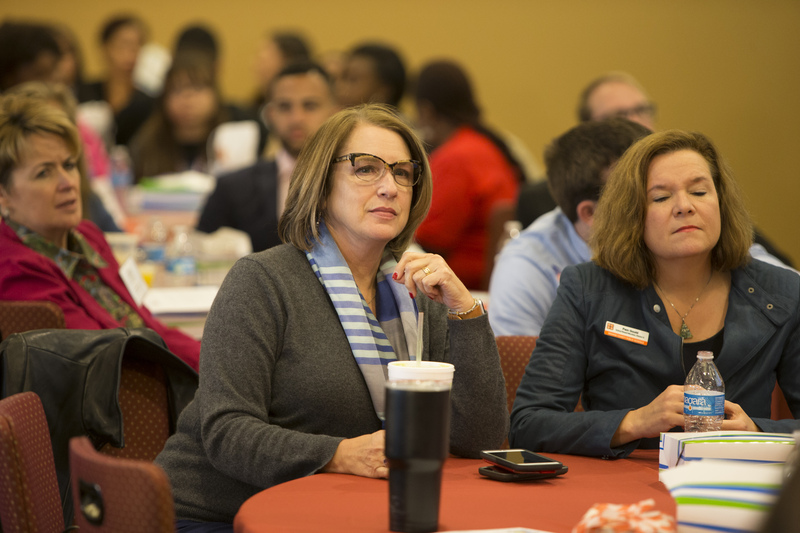 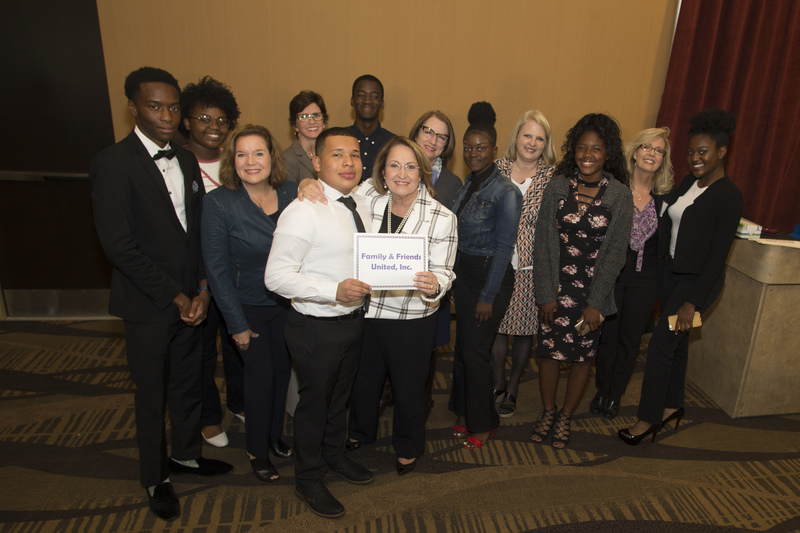 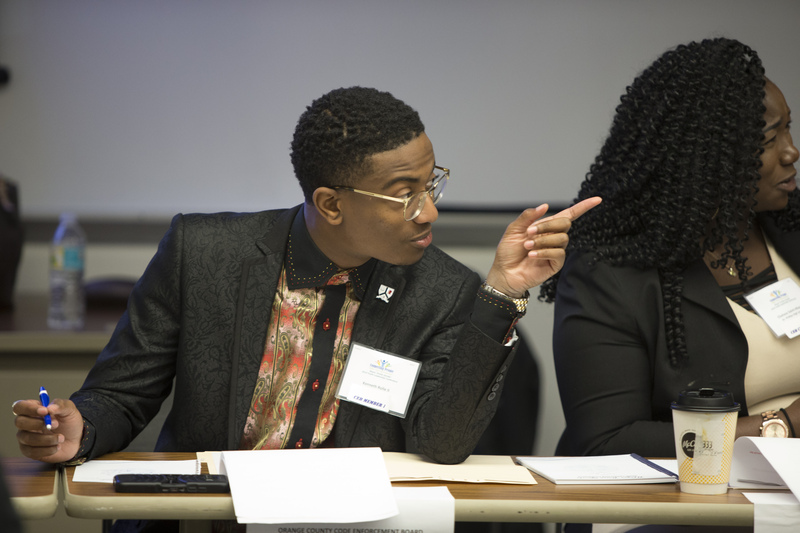 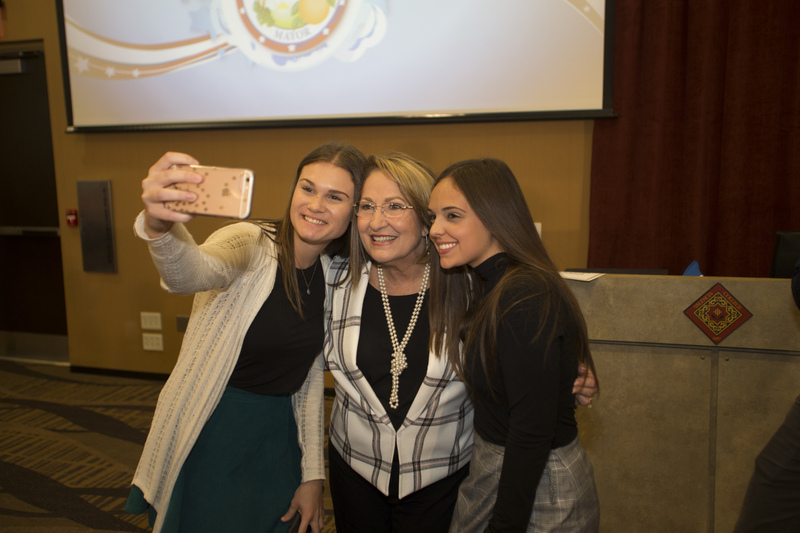 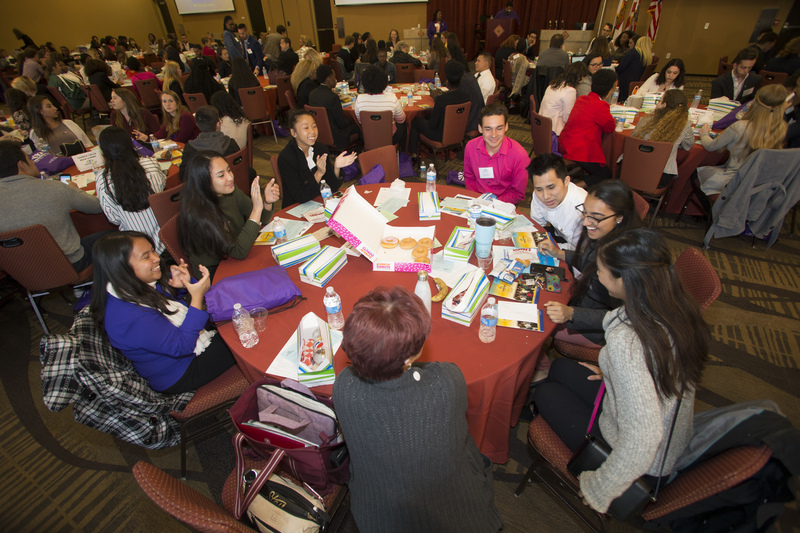 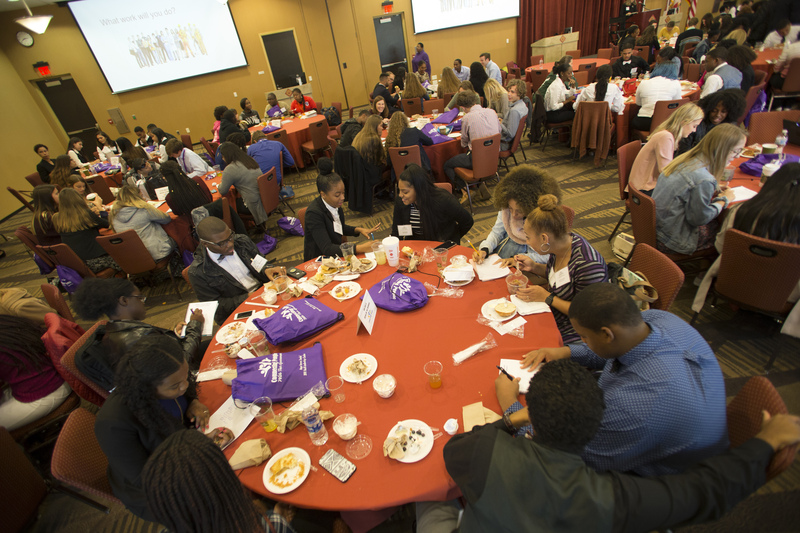 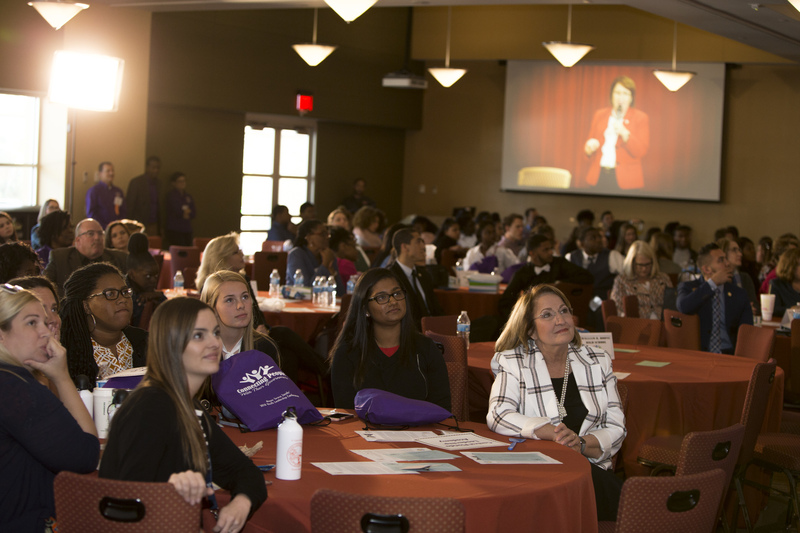 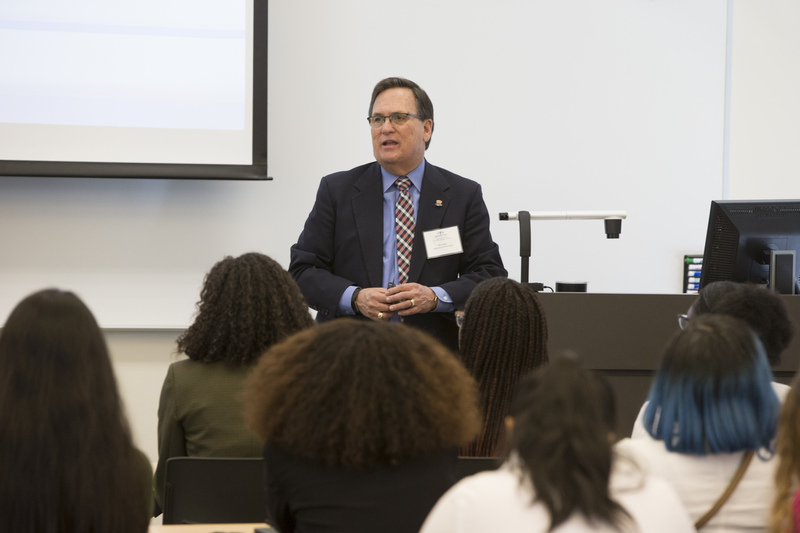 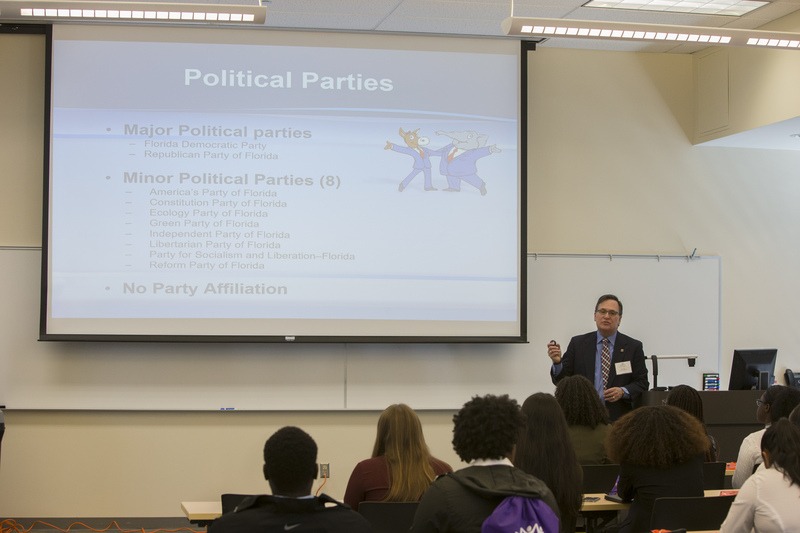 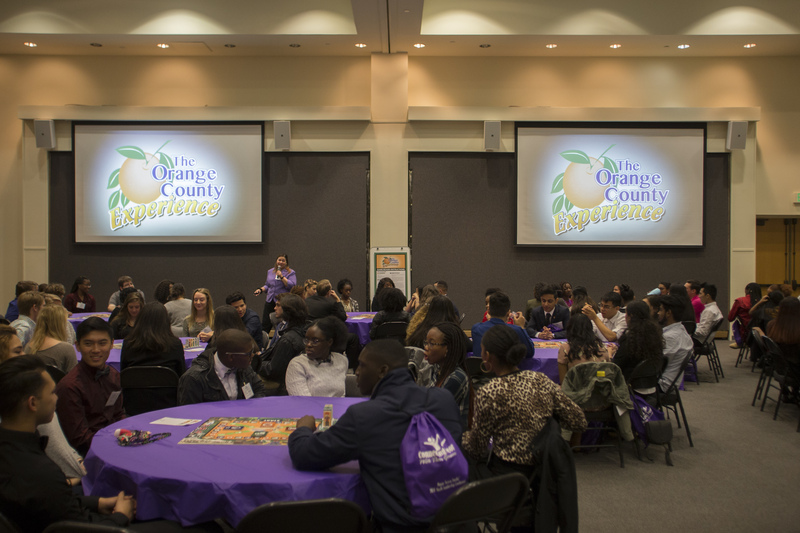 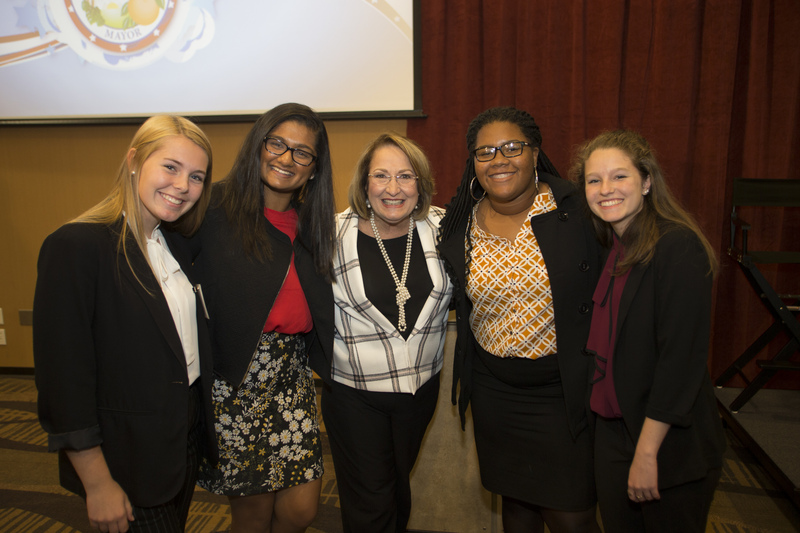 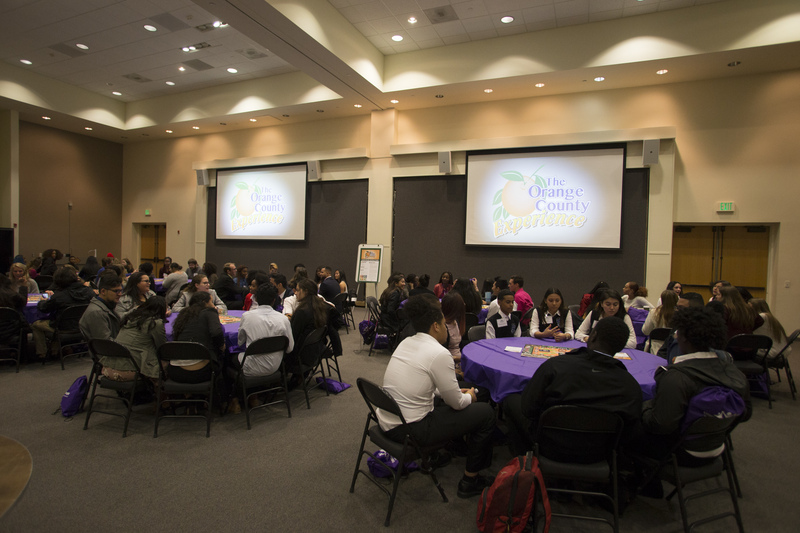 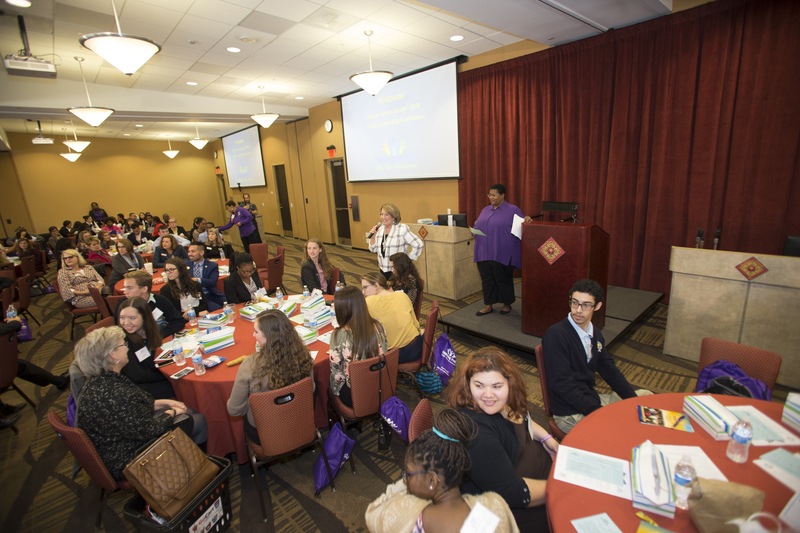 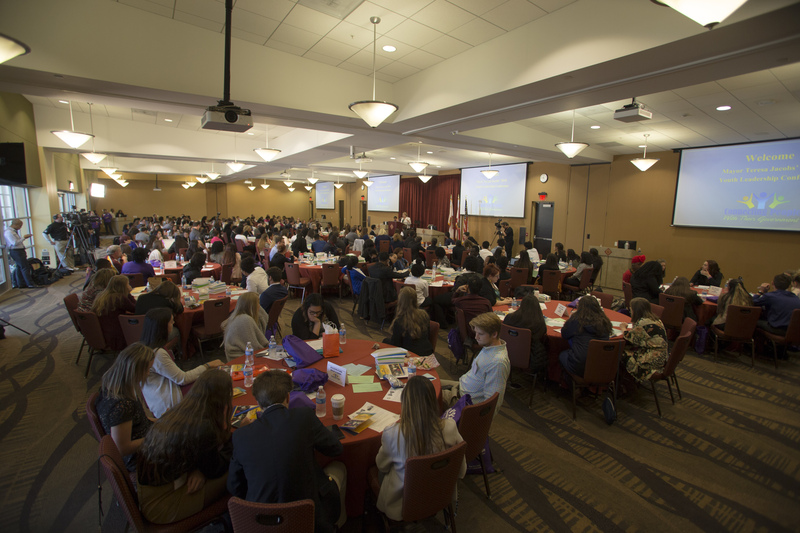 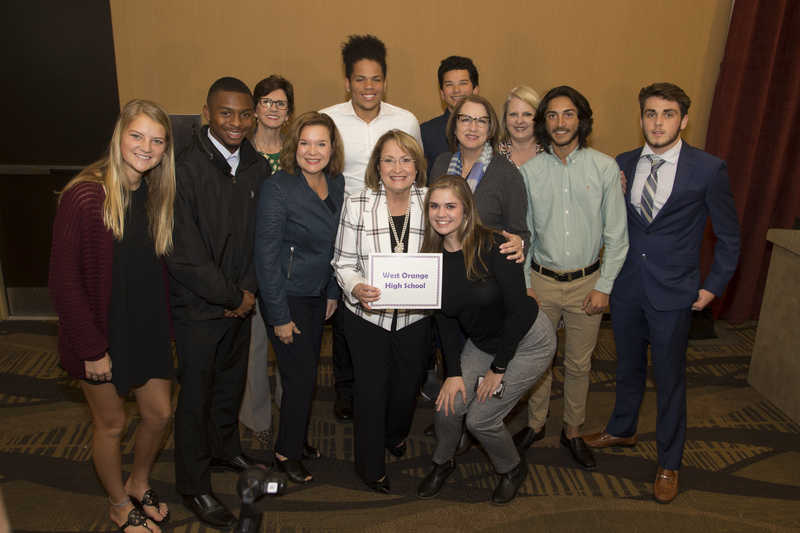 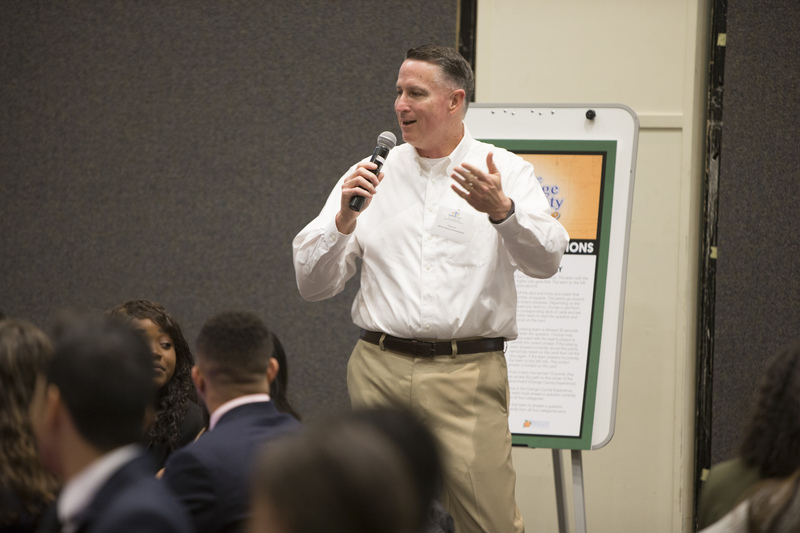 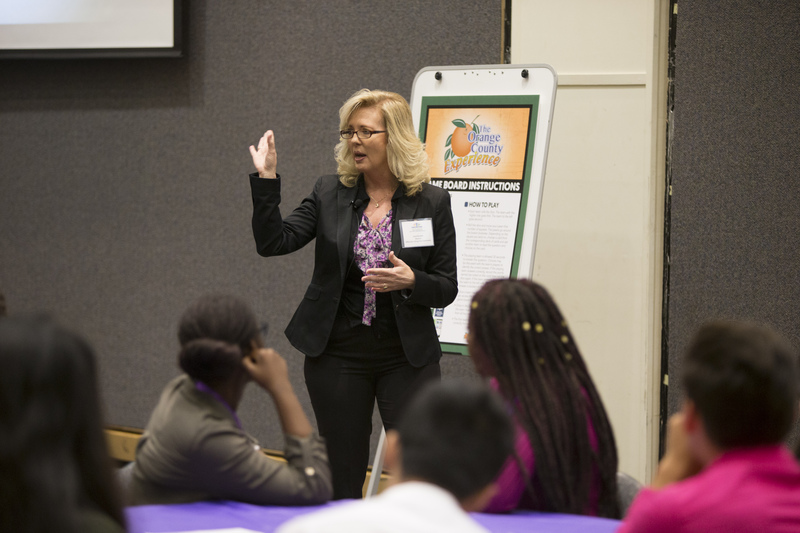 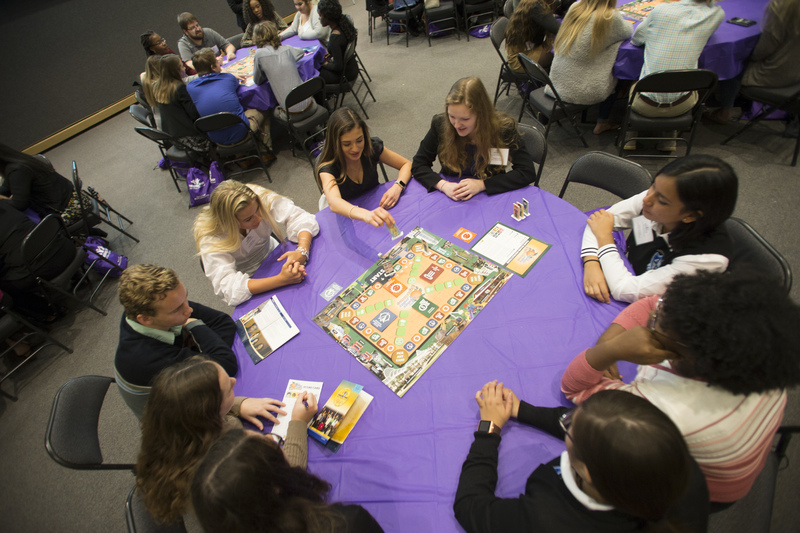 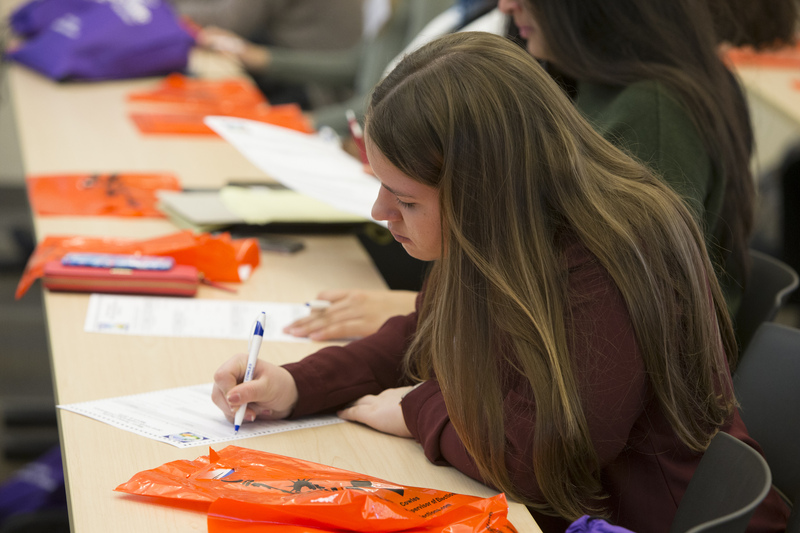 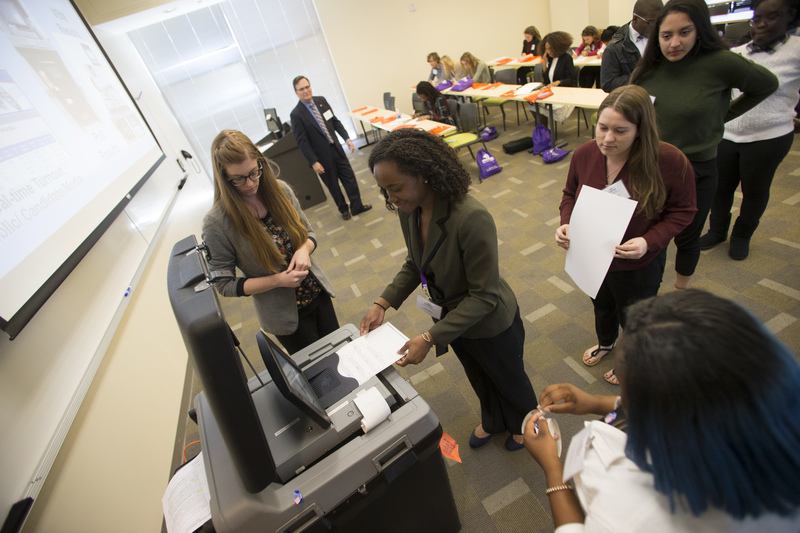 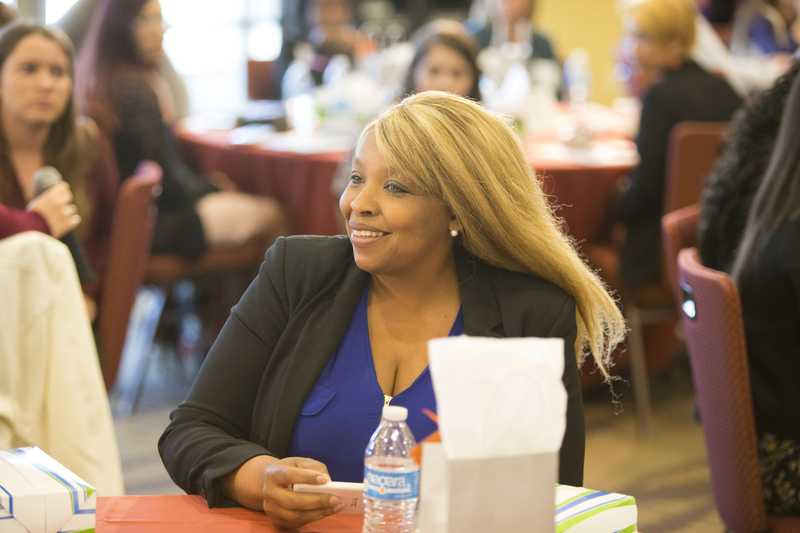 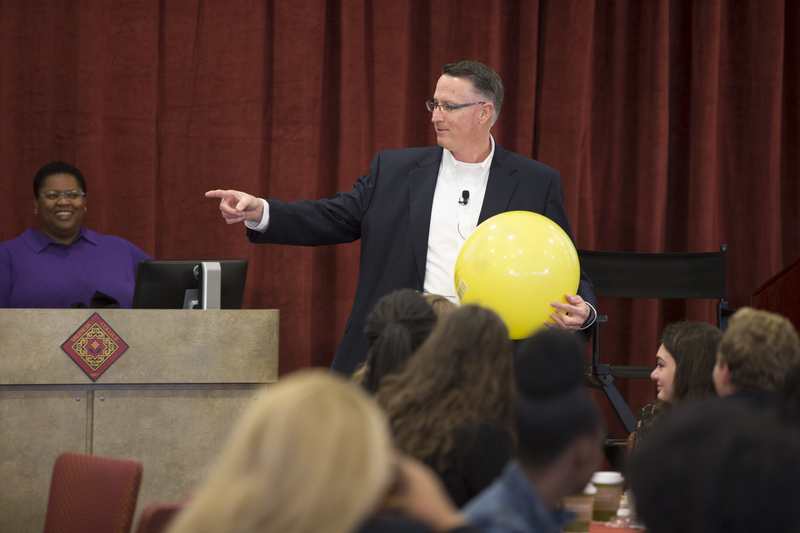 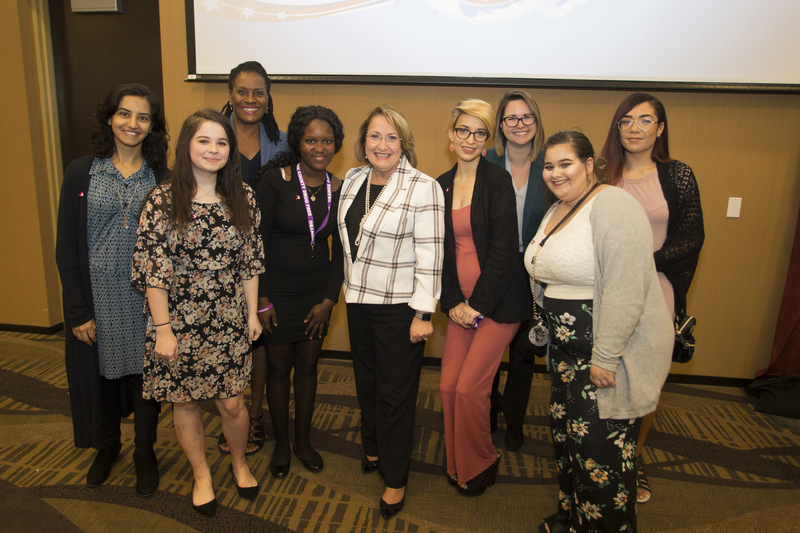 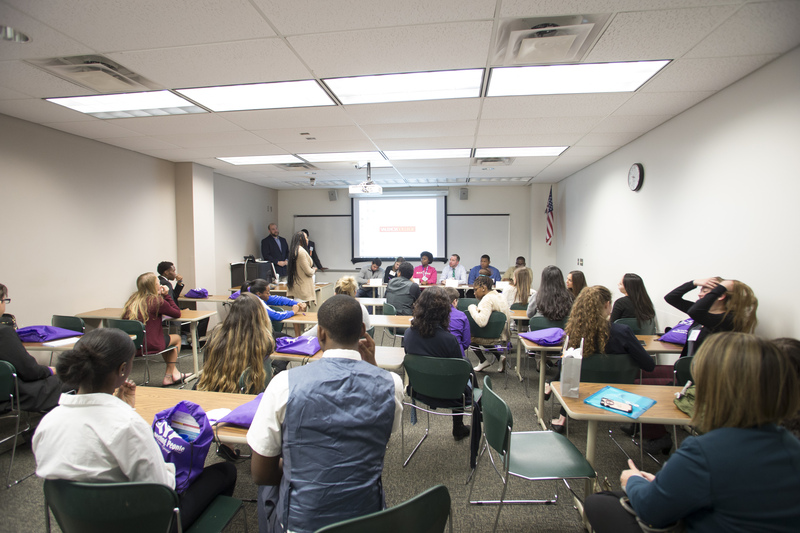 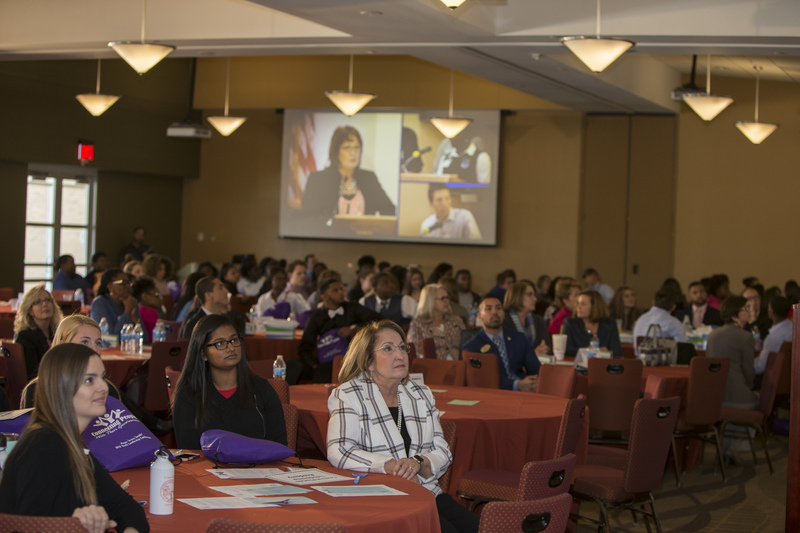 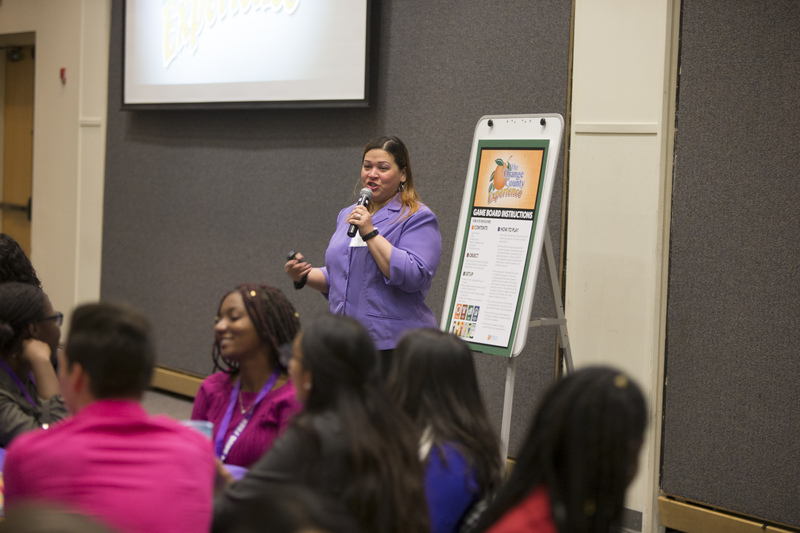 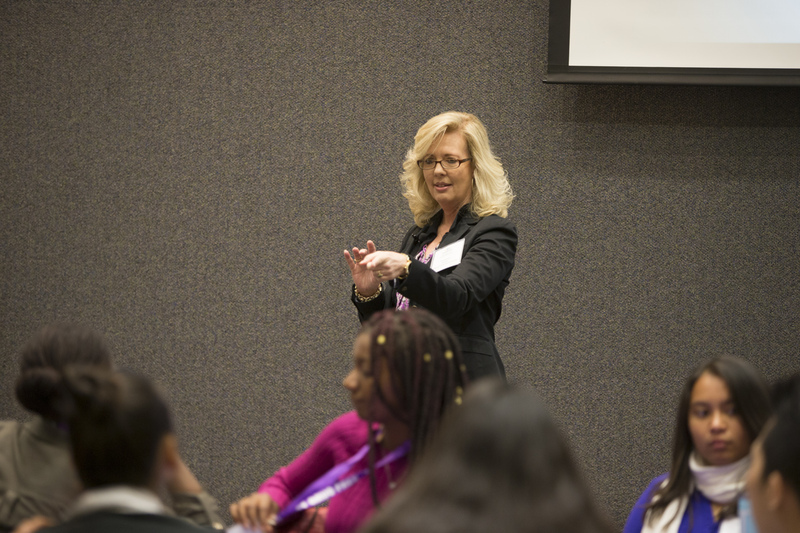 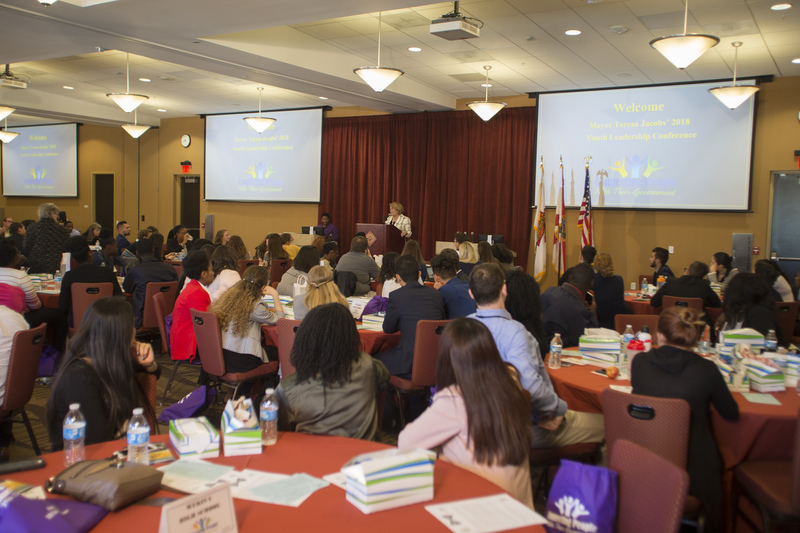 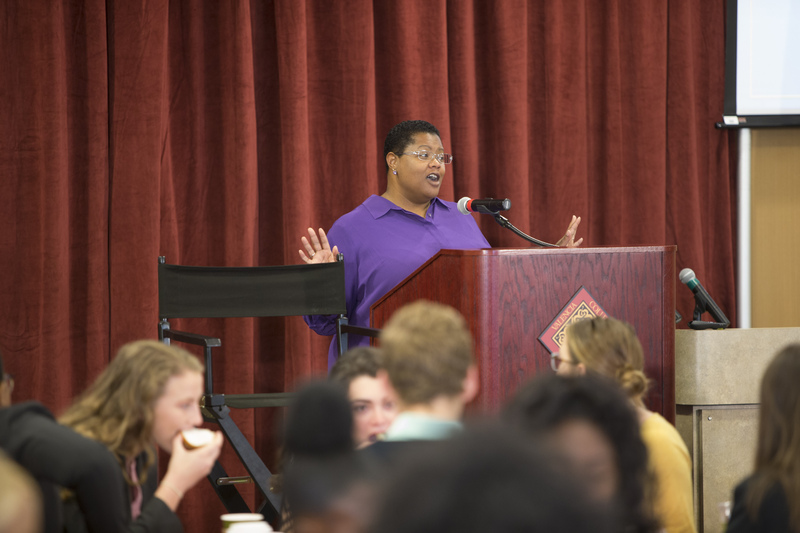 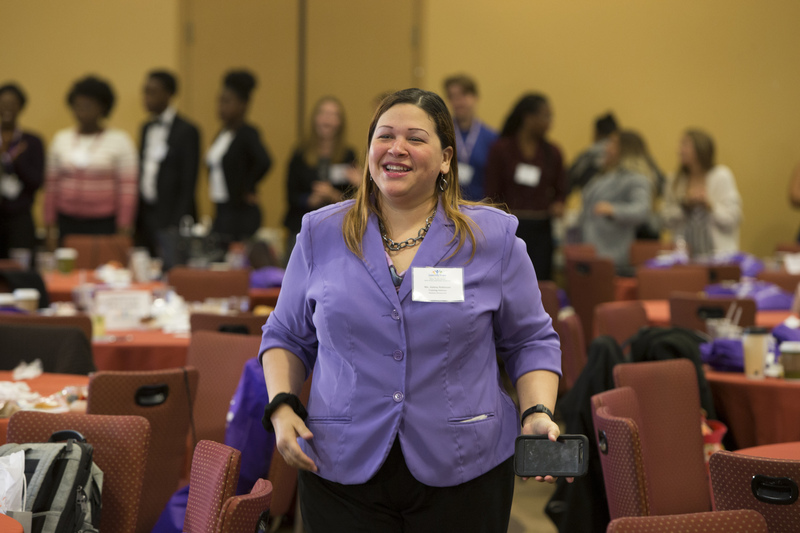 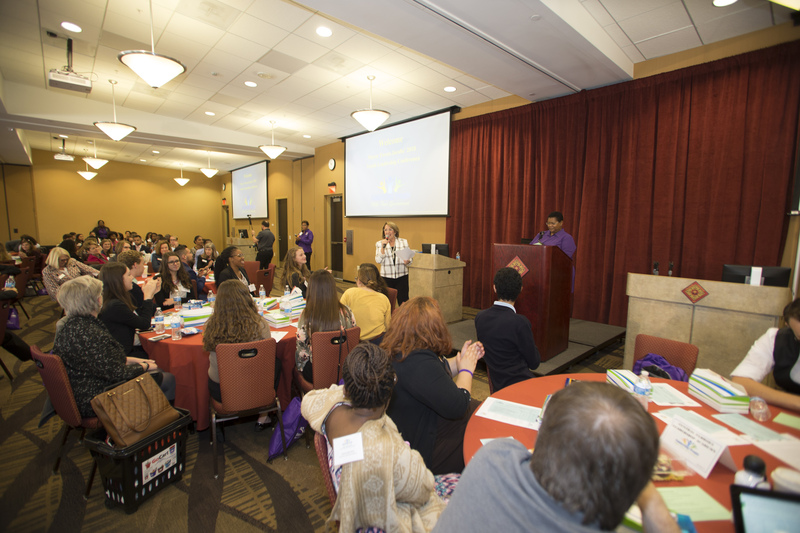 Hundreds of high school students from 26 Orange County Public Schools attended Orange County Mayor Teresa Jacobs’ Youth Leadership Conference held at Valencia College on March 9. 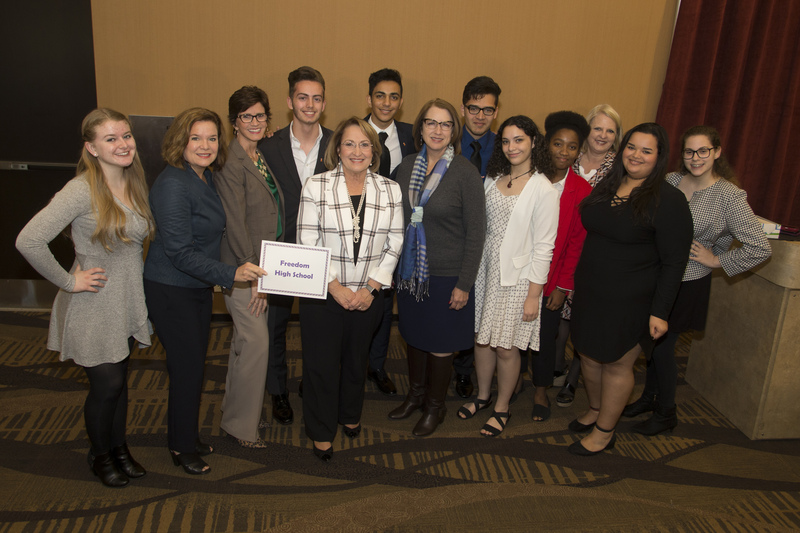 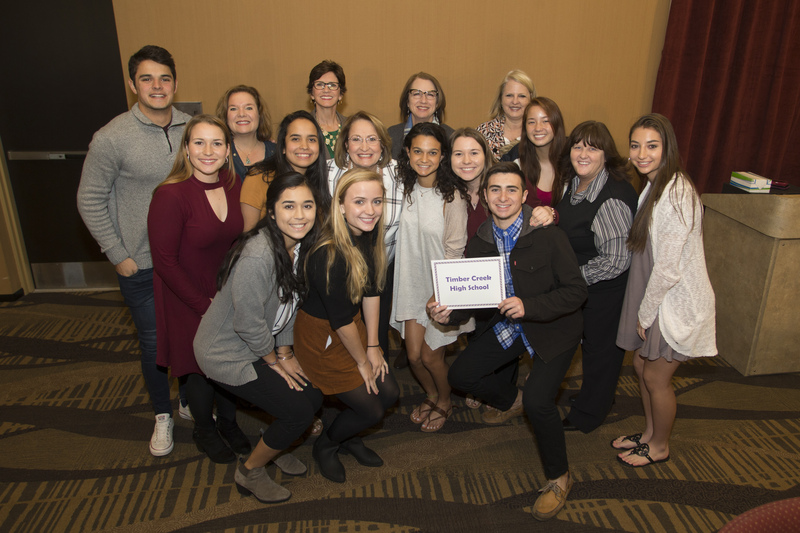 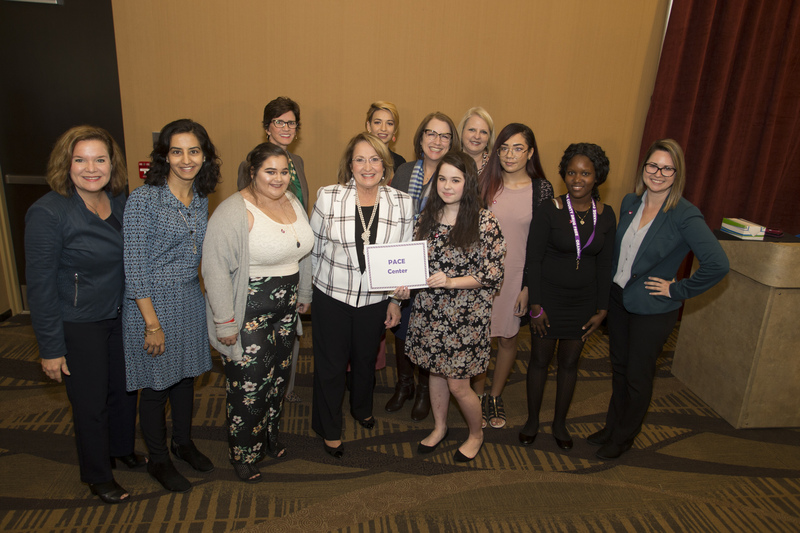 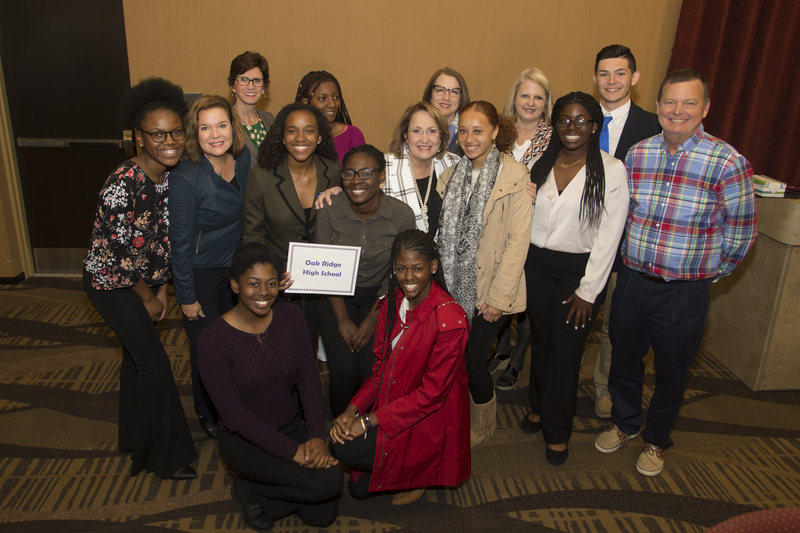 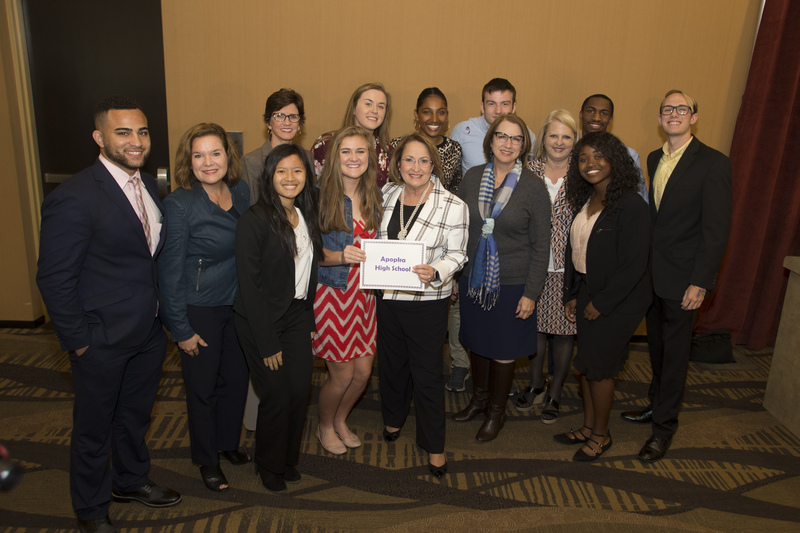 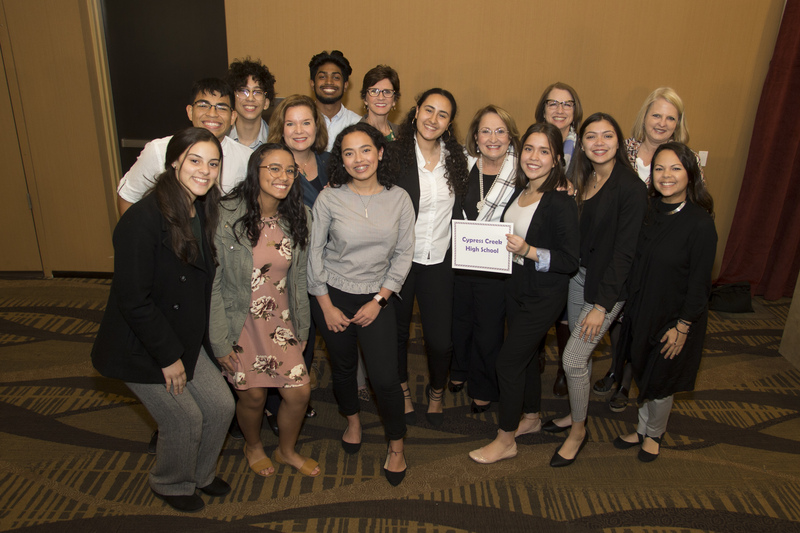 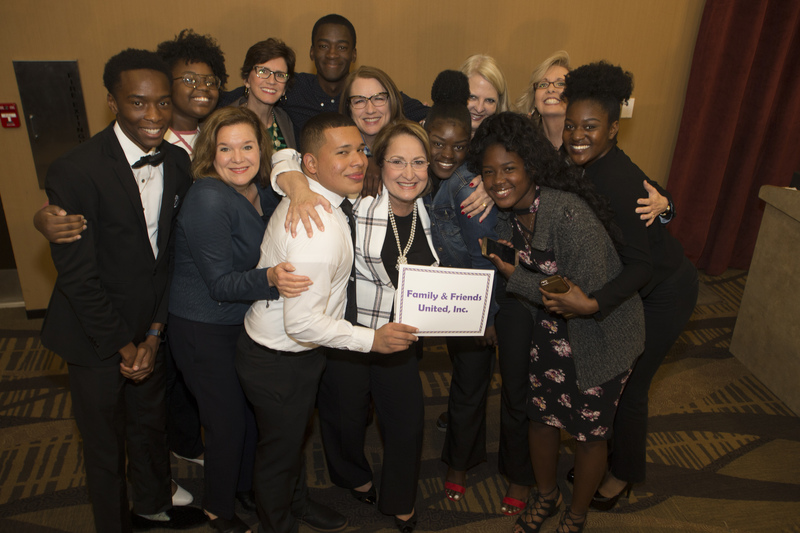 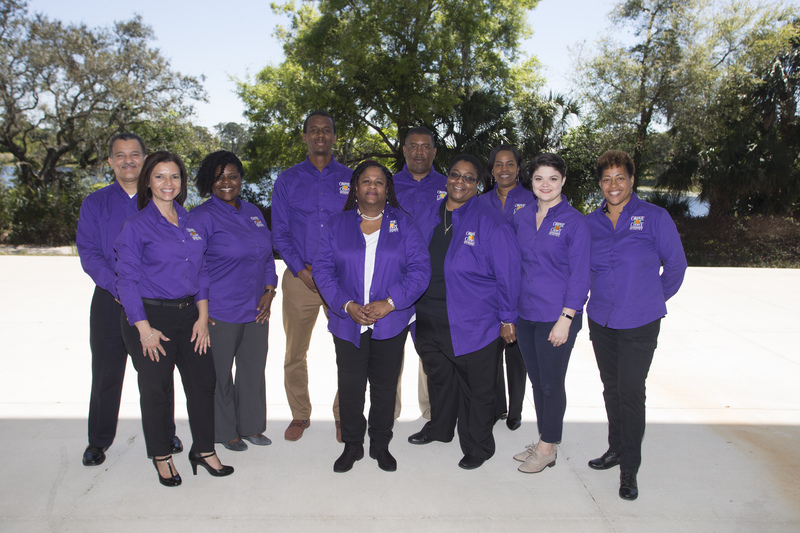 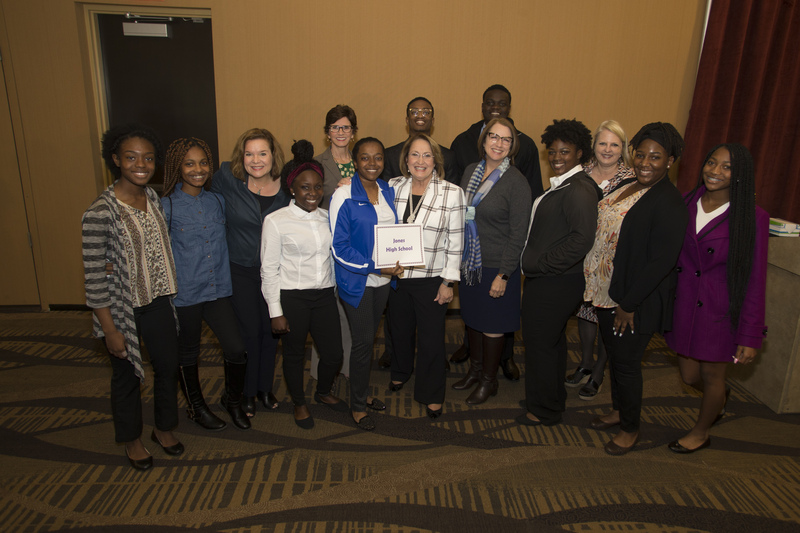 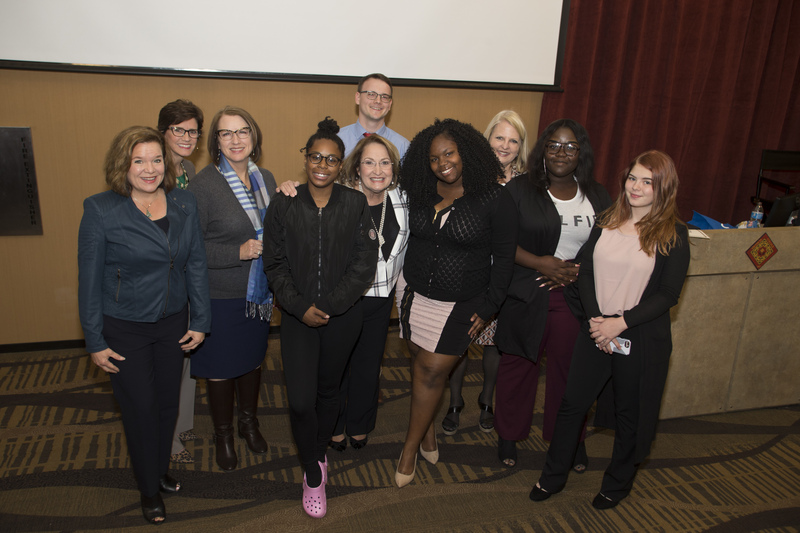 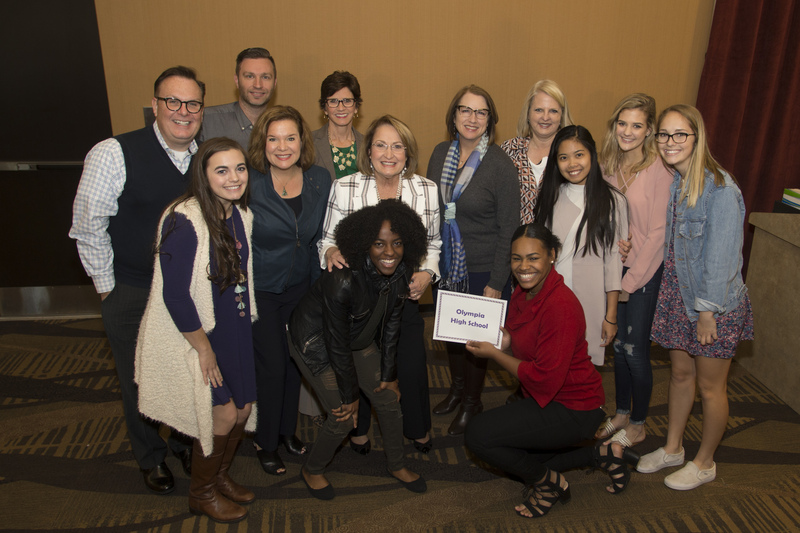 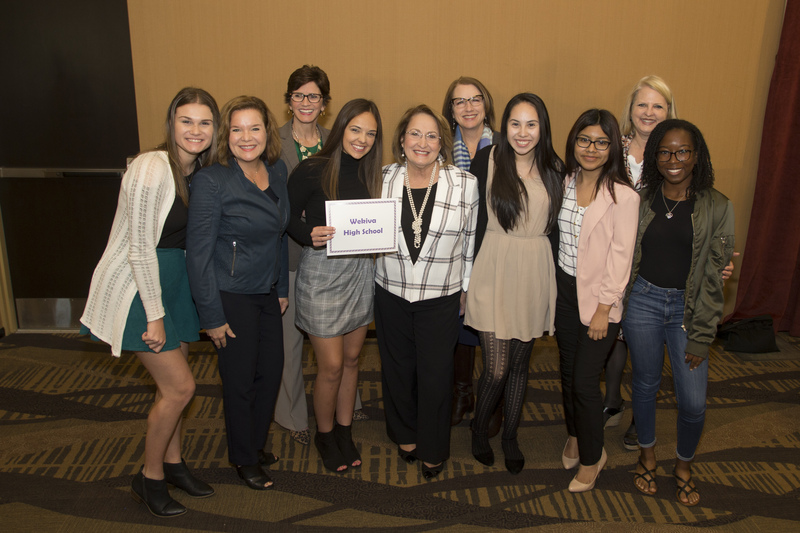 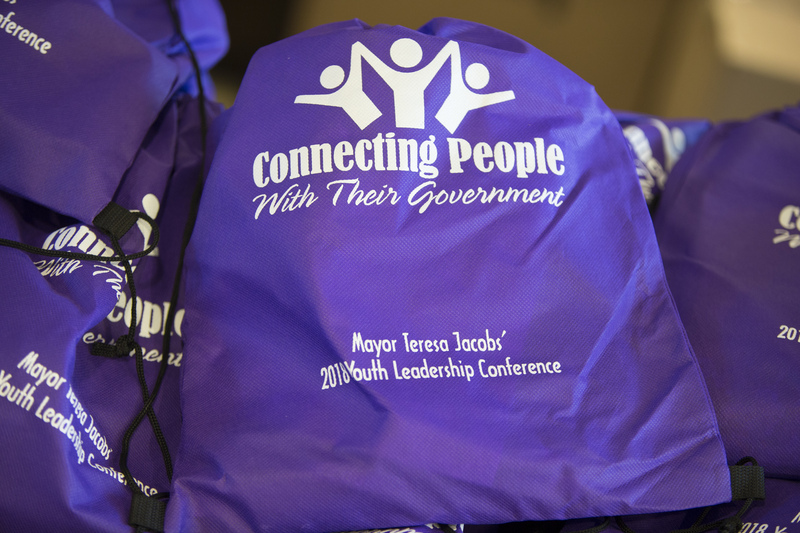 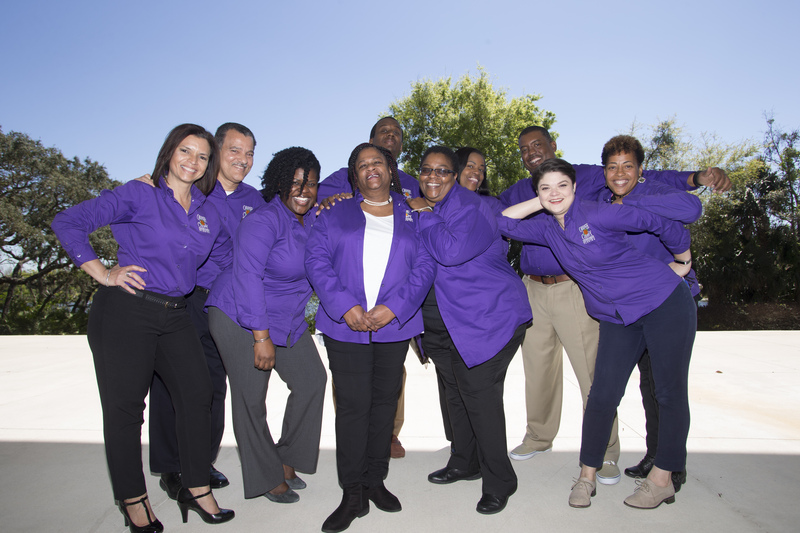 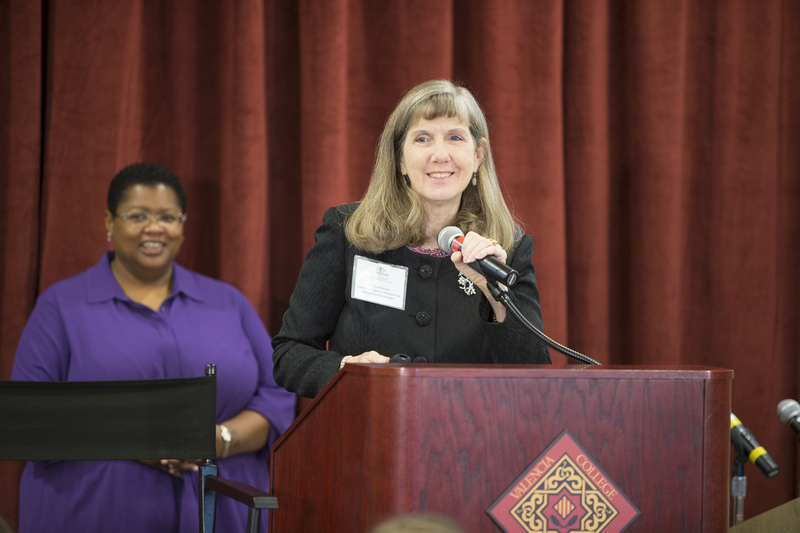 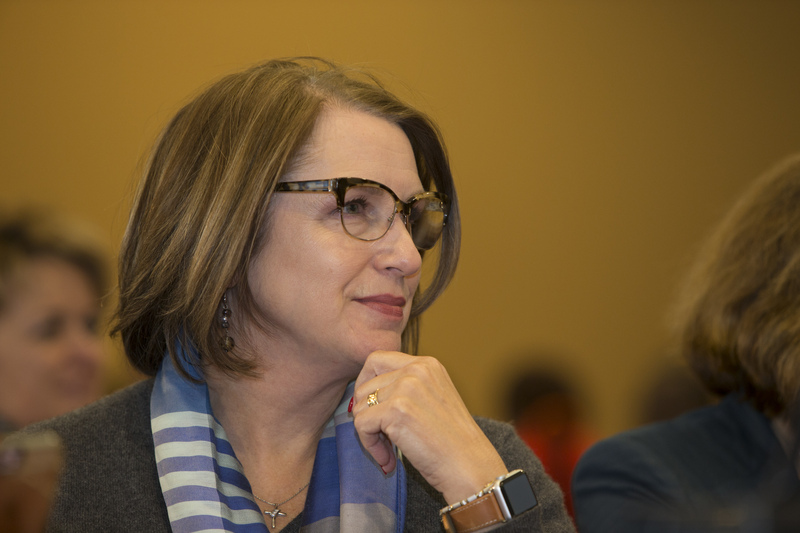 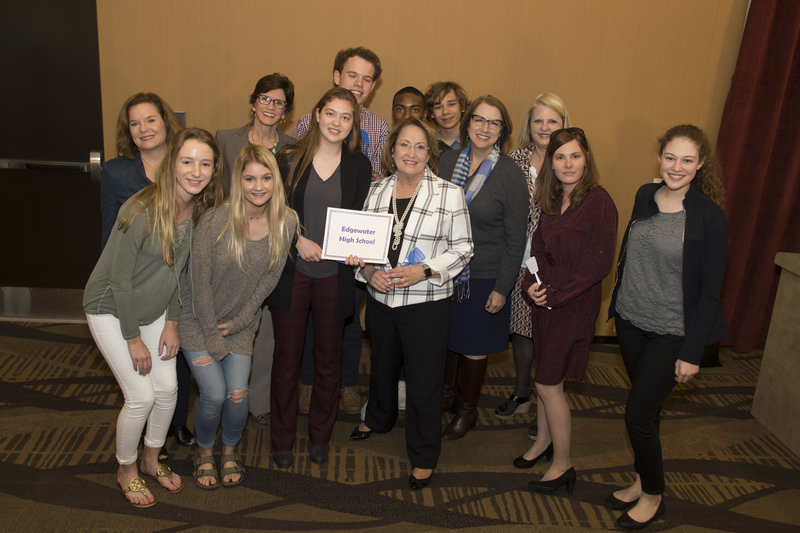 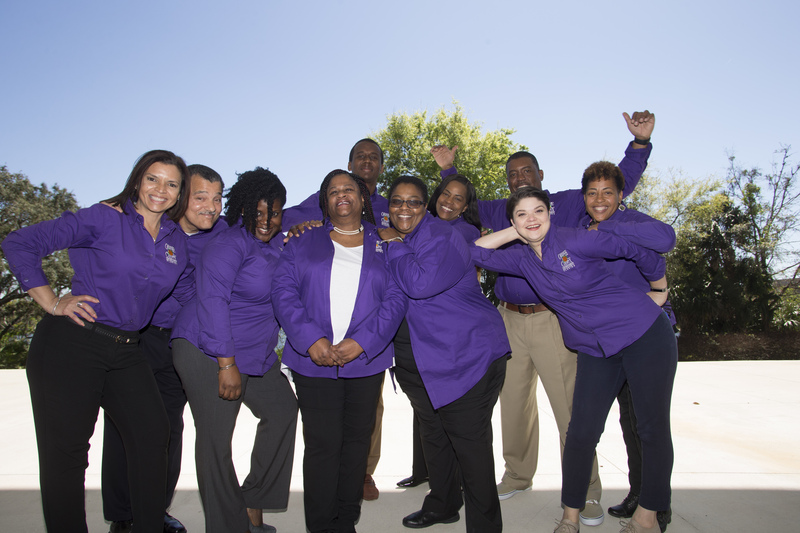 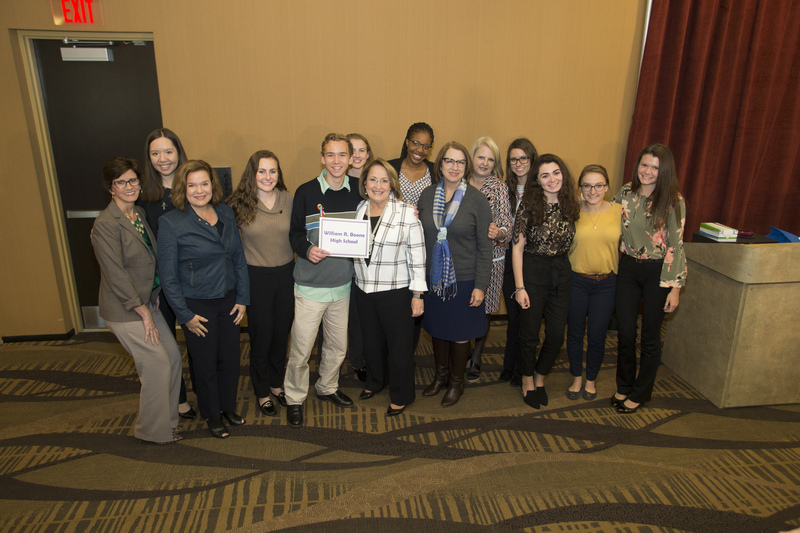 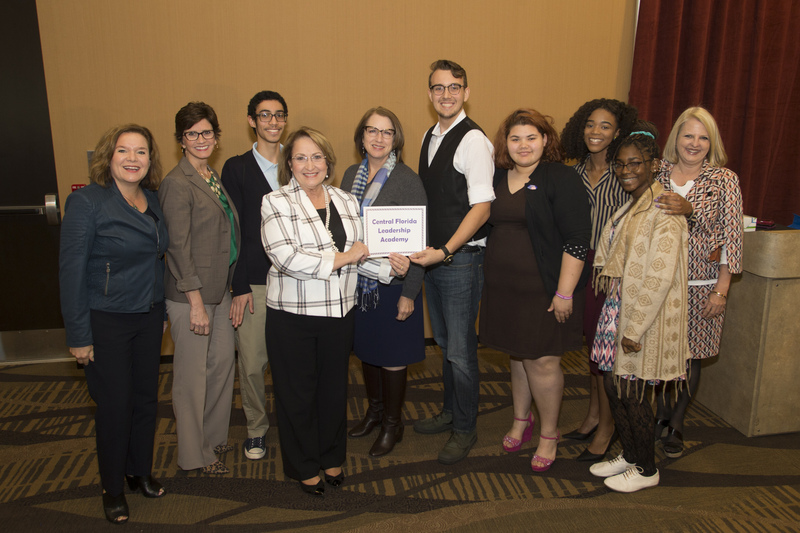 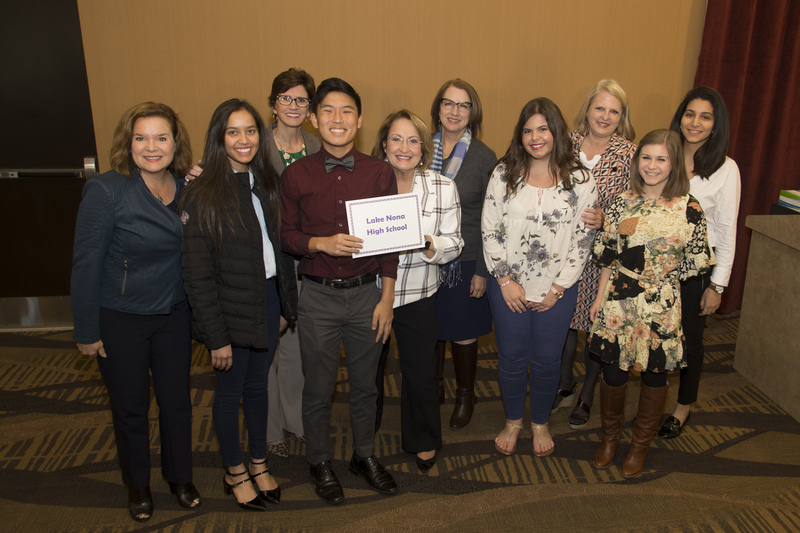 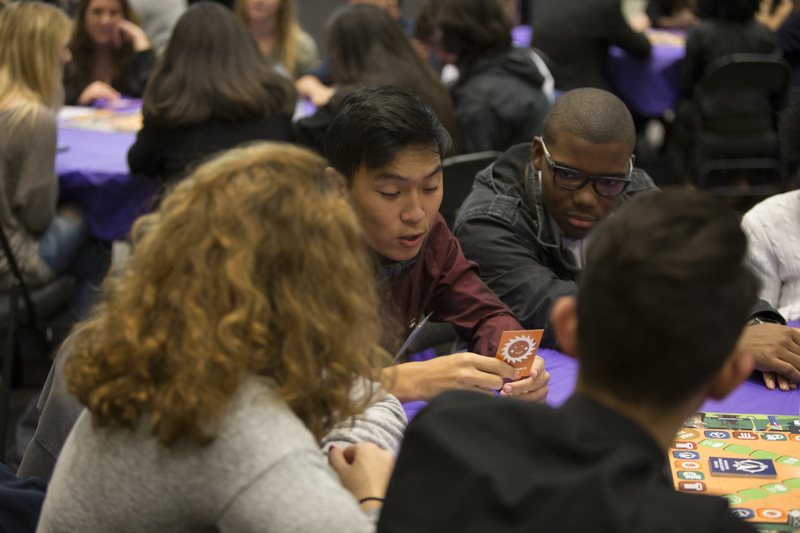 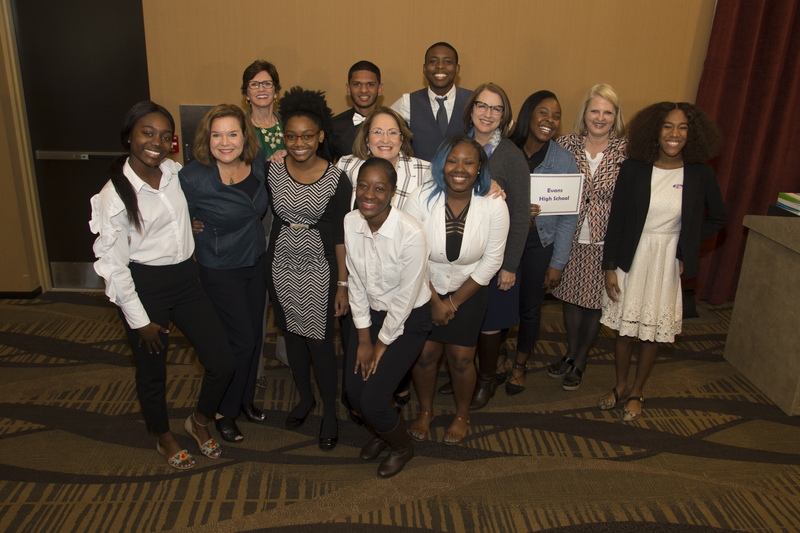 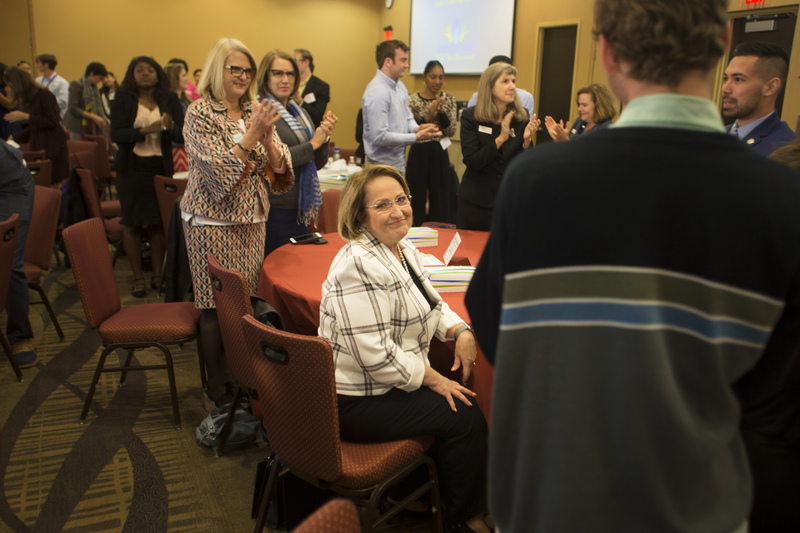 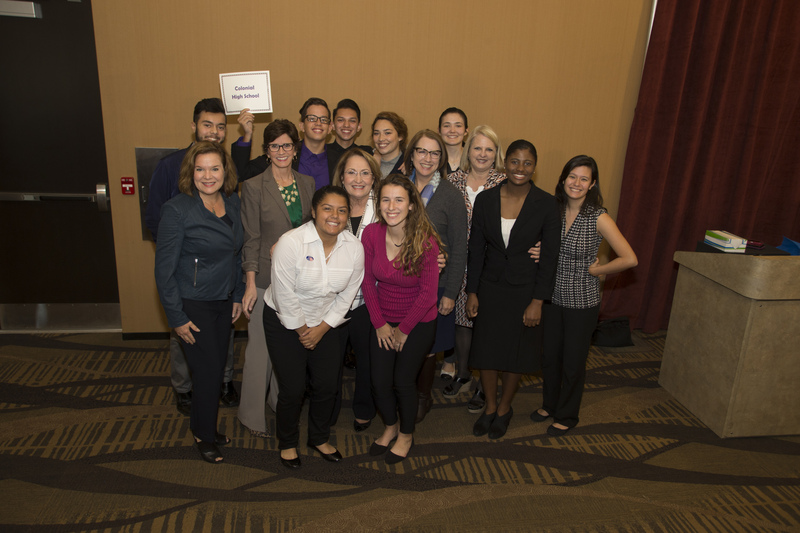 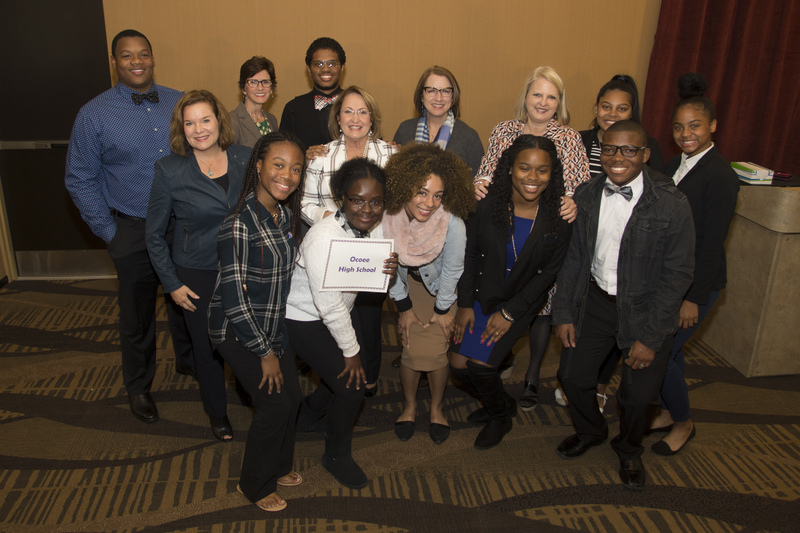 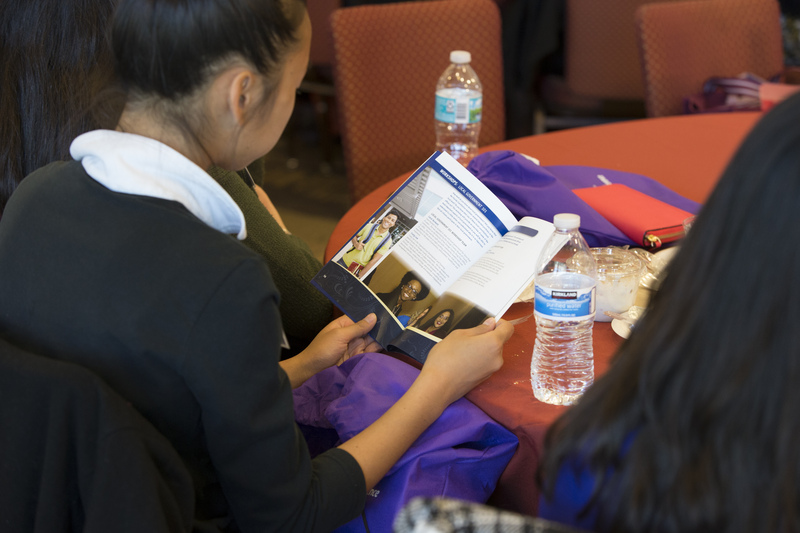 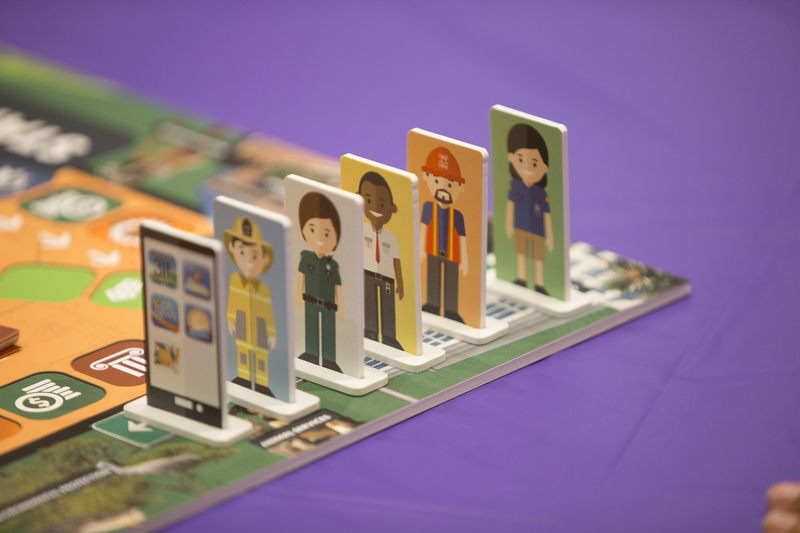 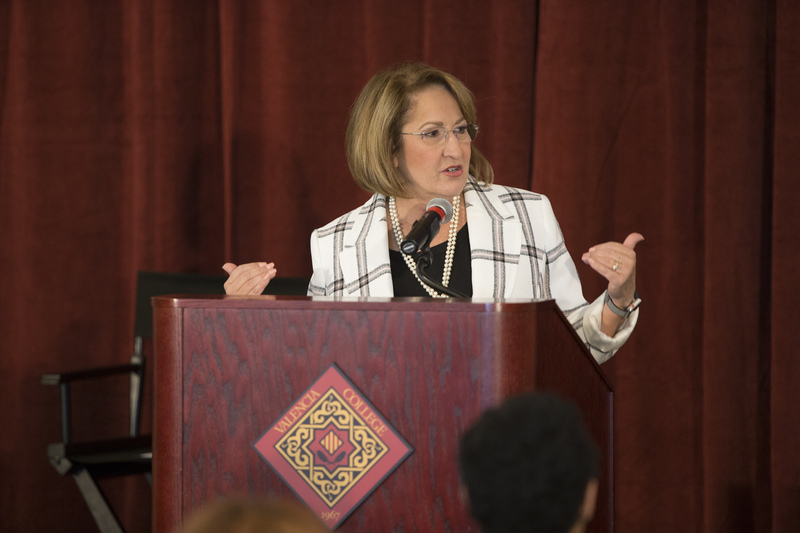 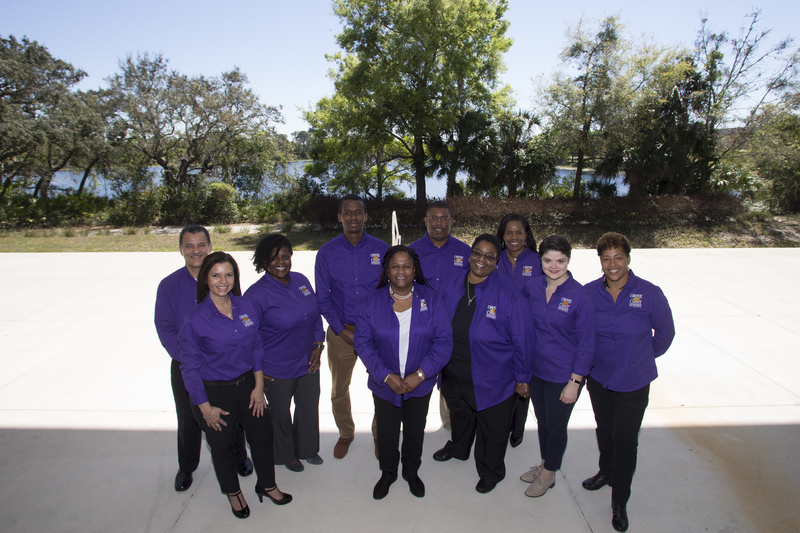 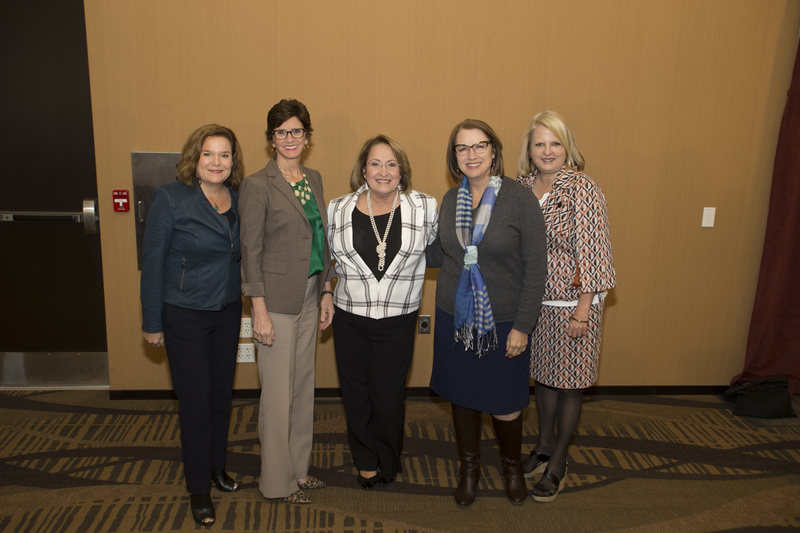 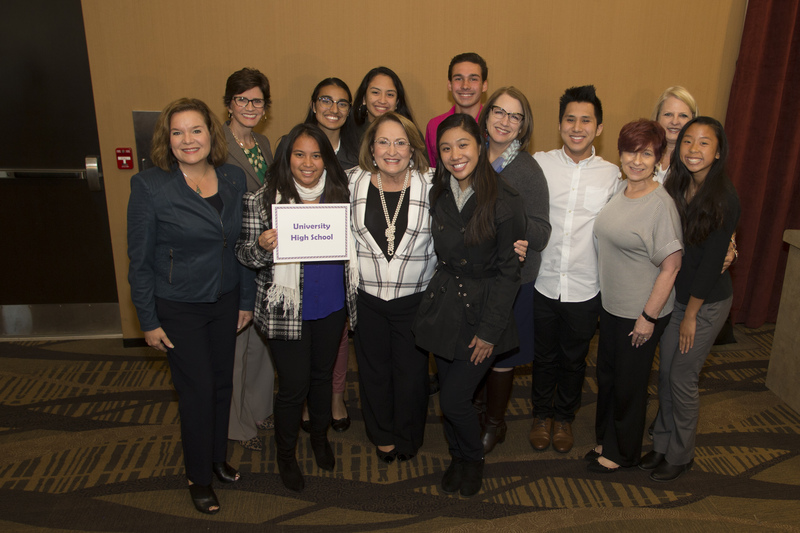 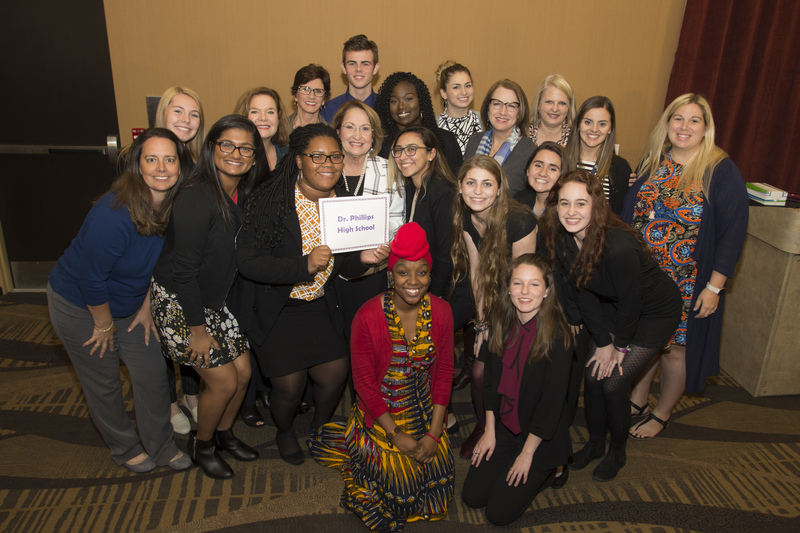 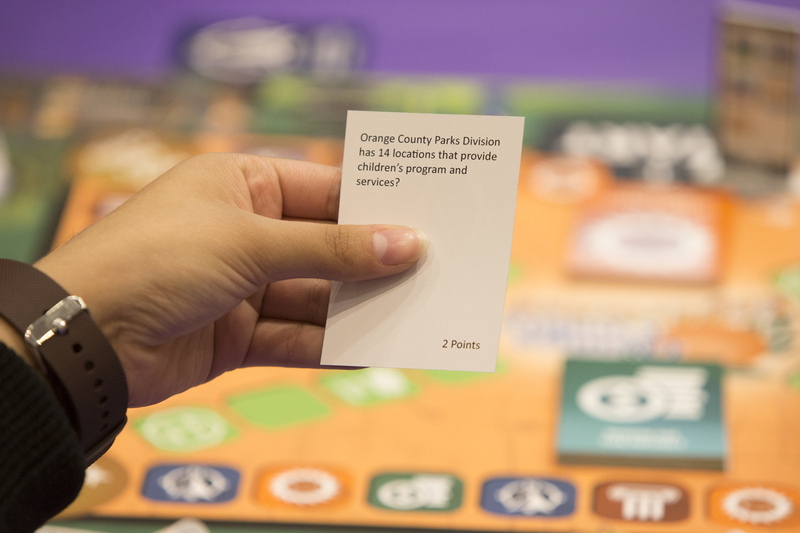 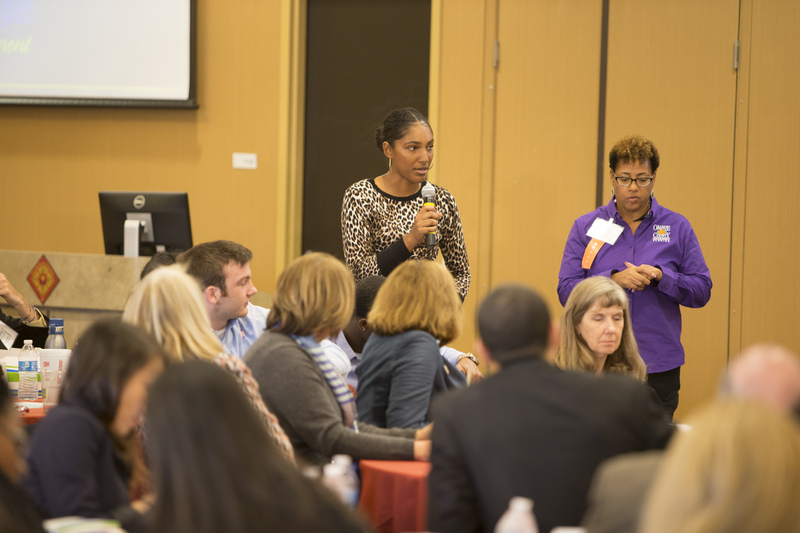 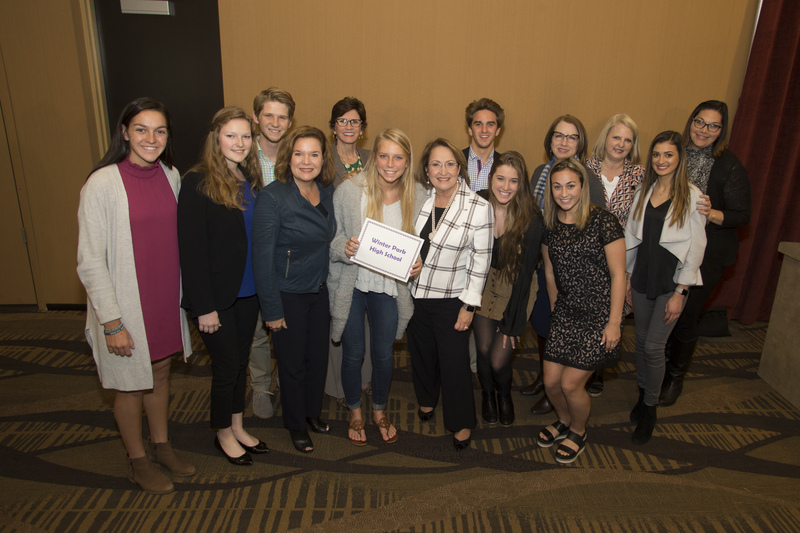 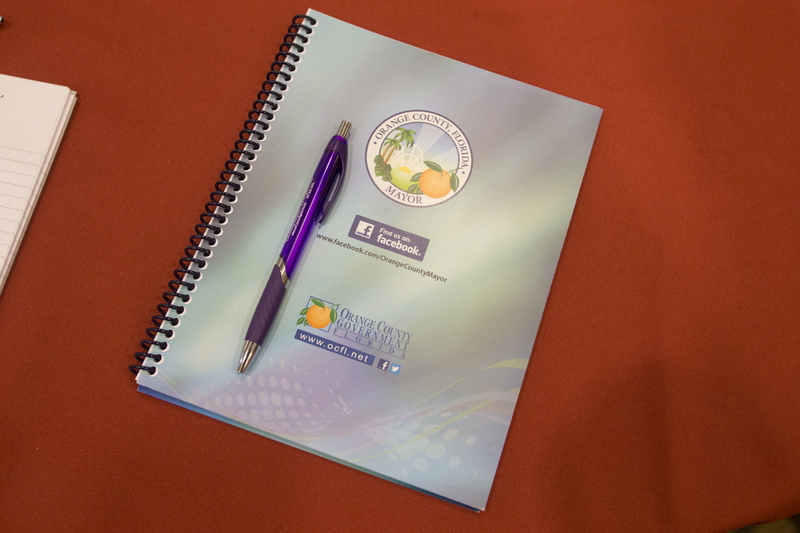 Now in its seventh year, the program was created by Mayor Jacobs in 2011 for student leaders to connect with their local government. 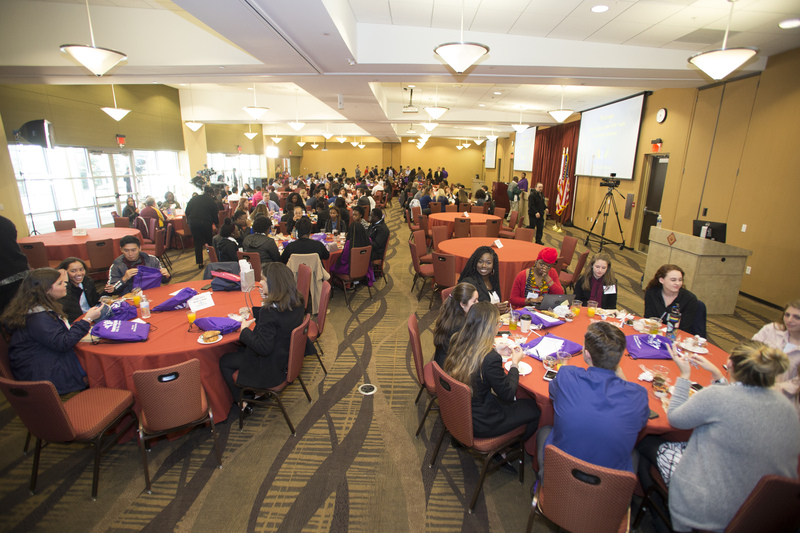 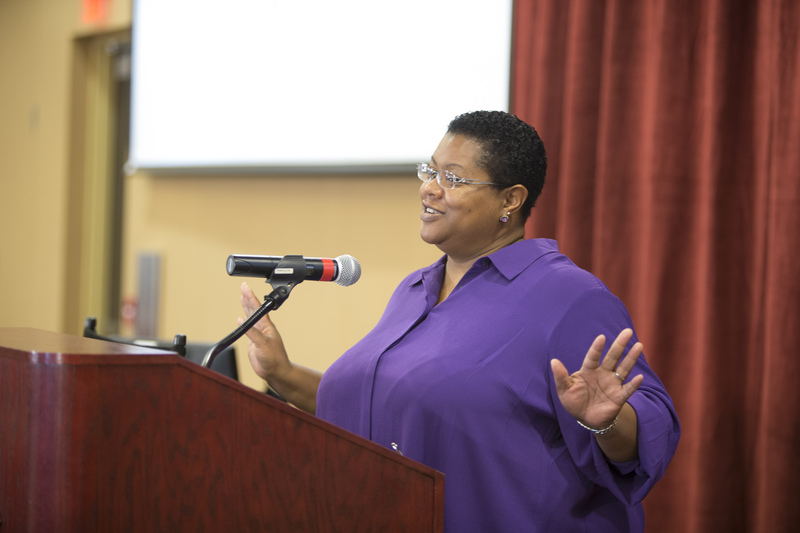 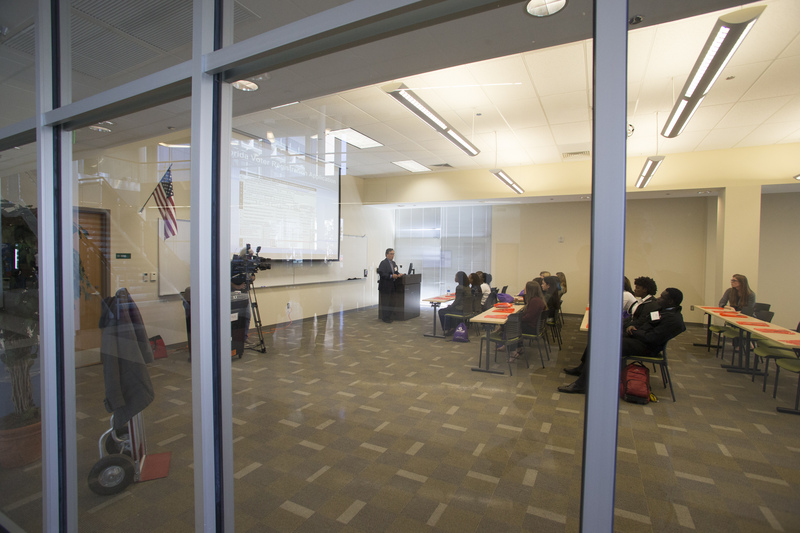 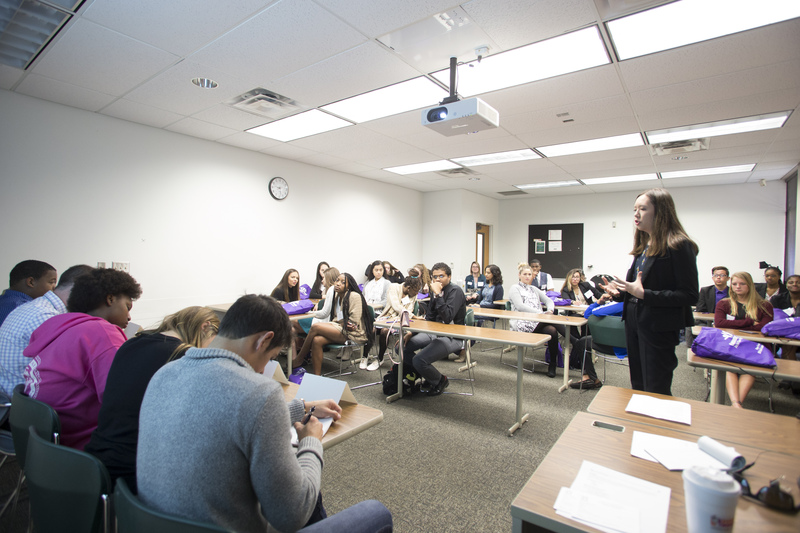 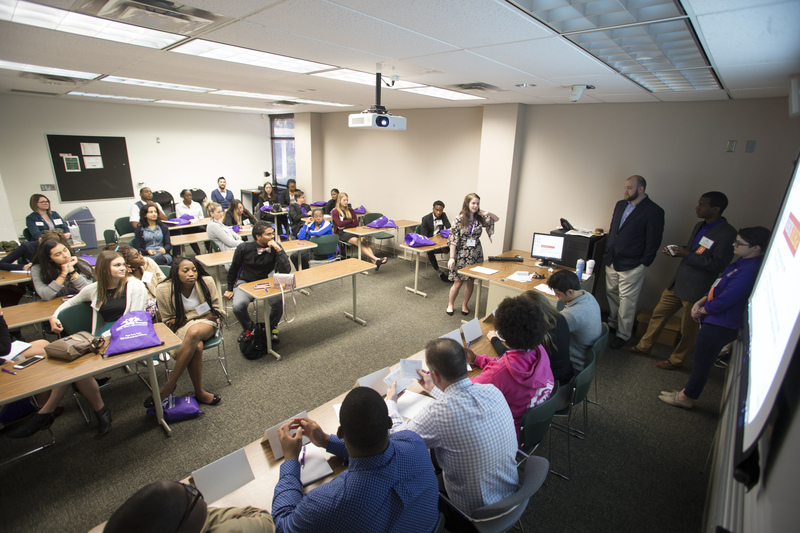 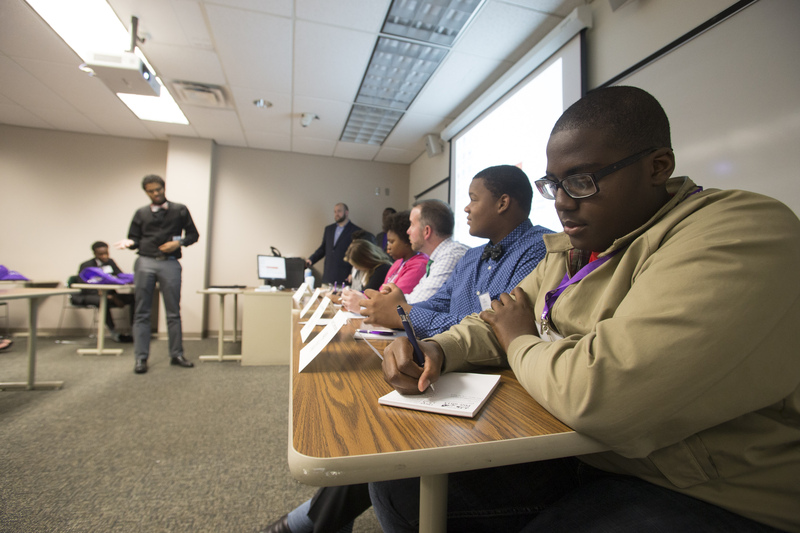 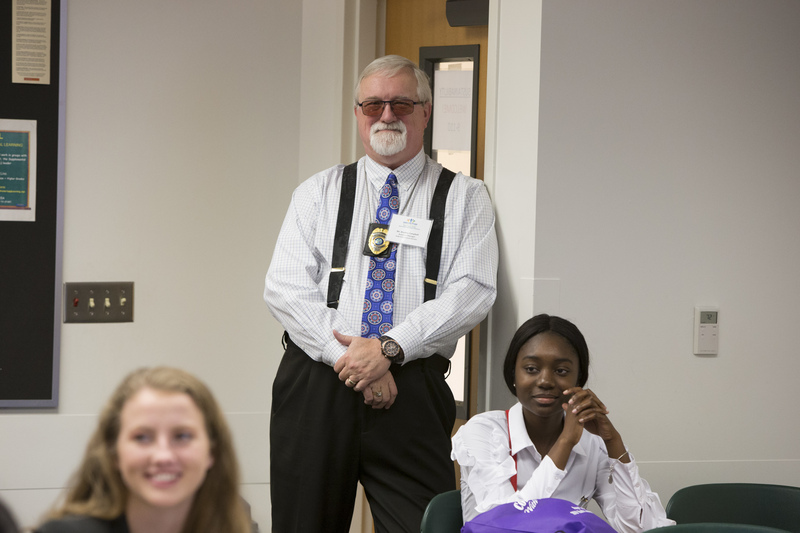 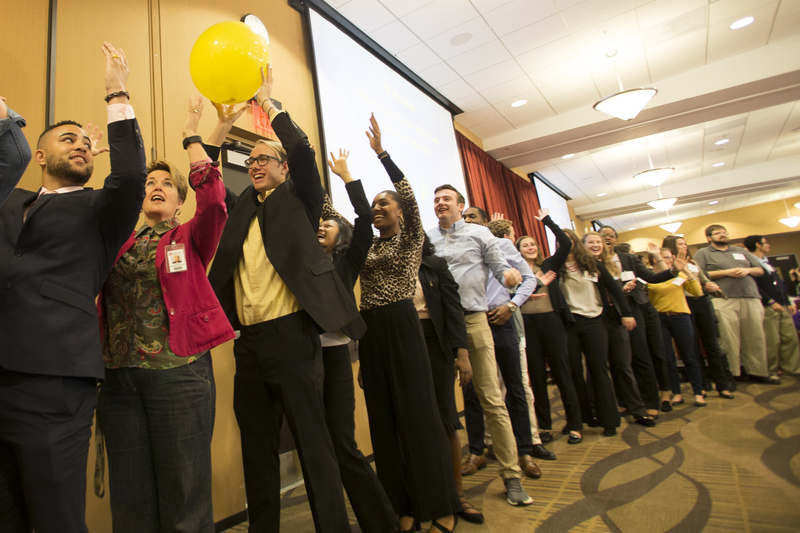 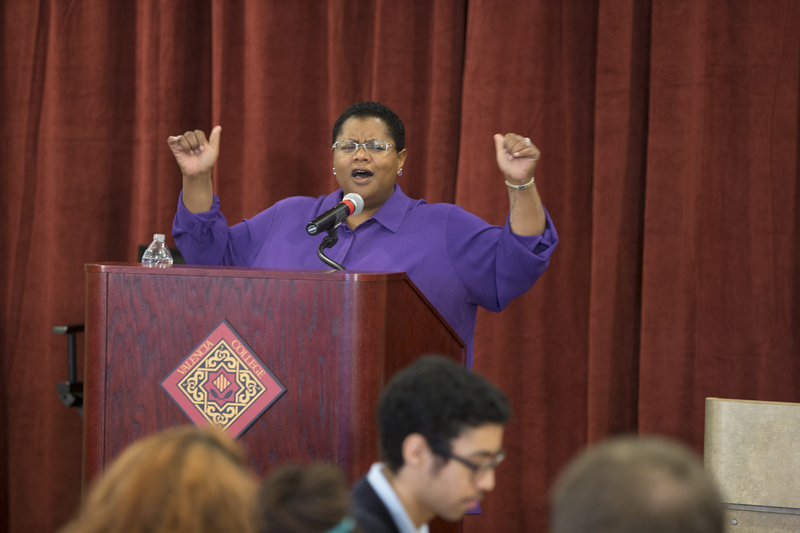 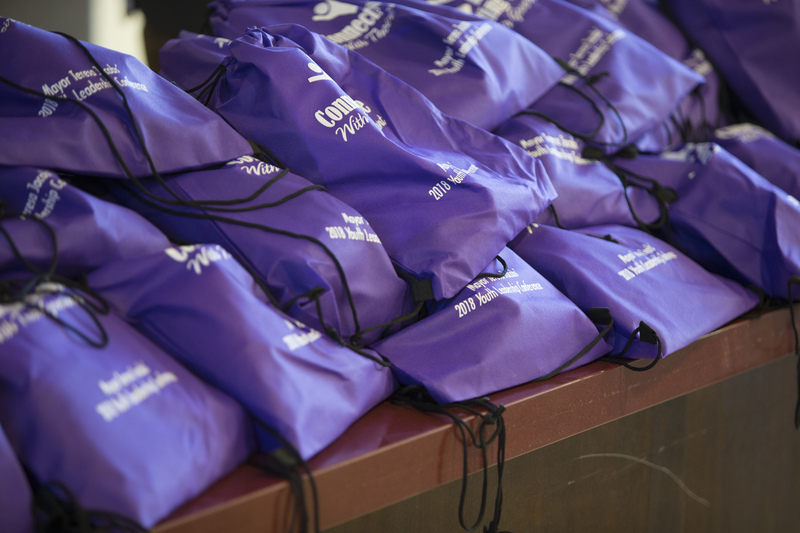 More than 1,400 students have participated in the program since its inception. 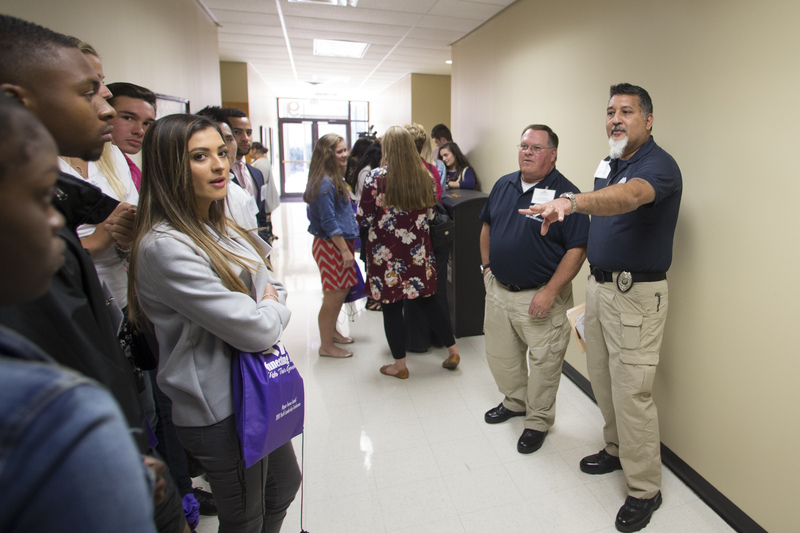 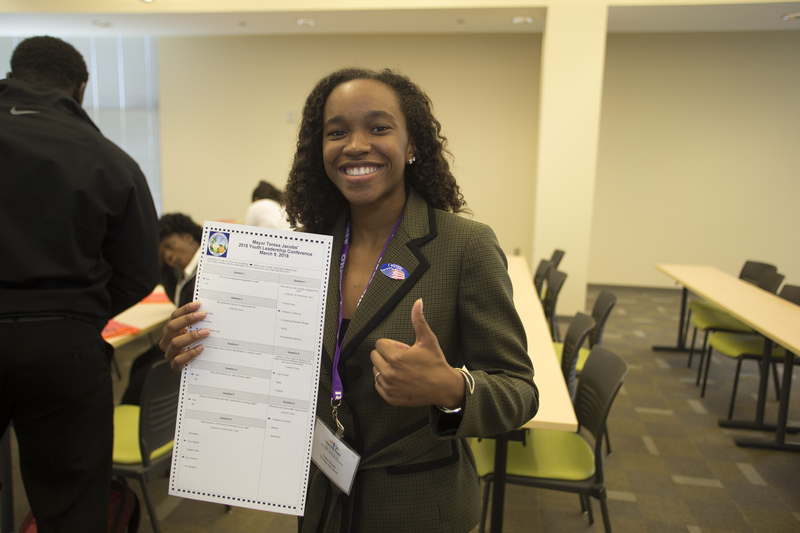 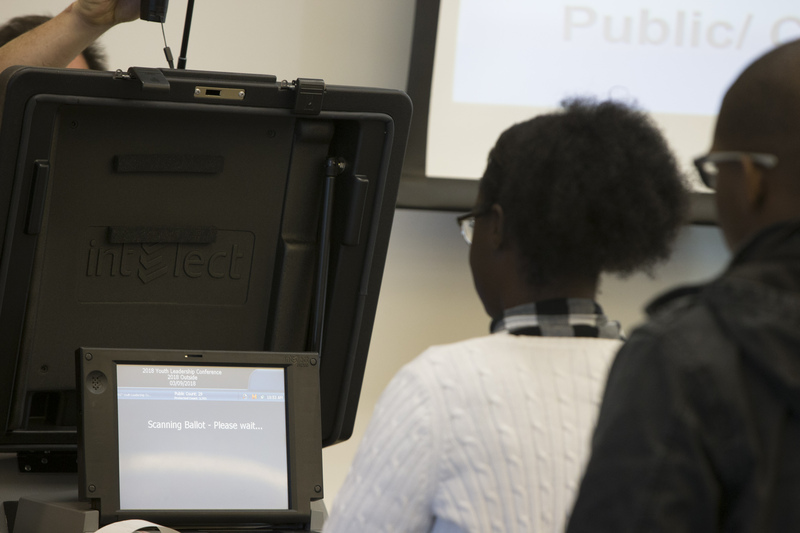 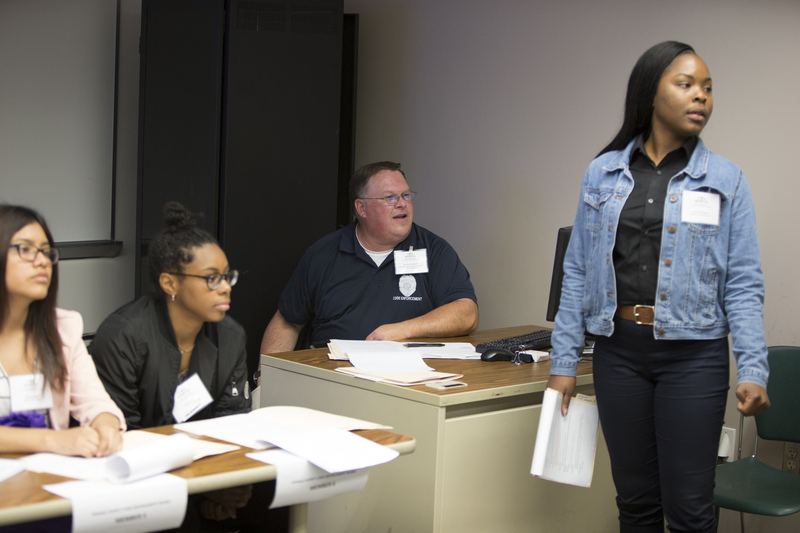 Throughout the morning, students attended a series of workshops ranging from zoning and code enforcement to the electoral process. 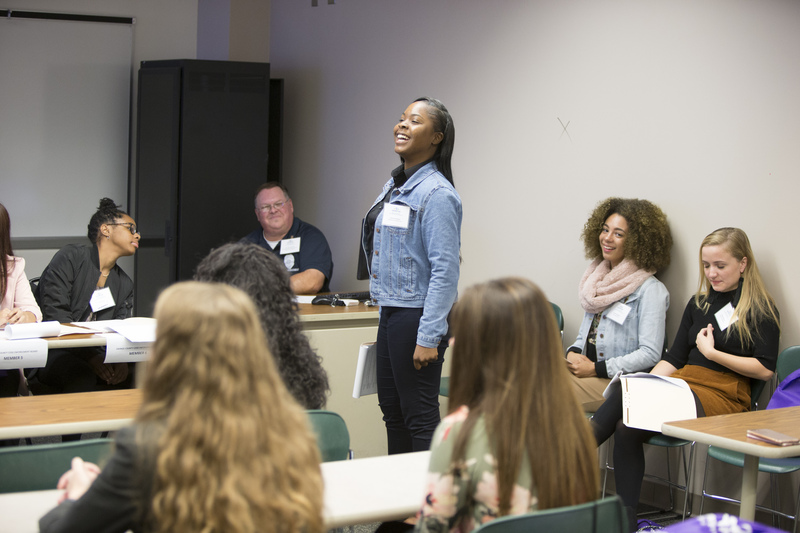 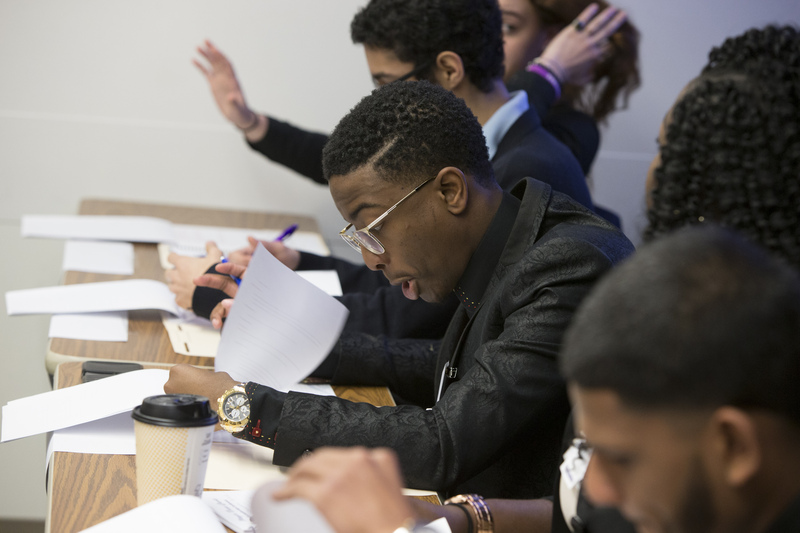 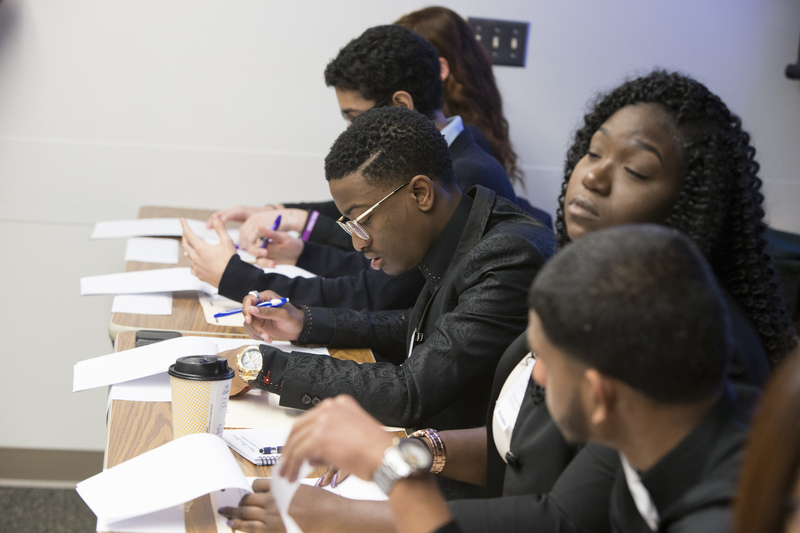 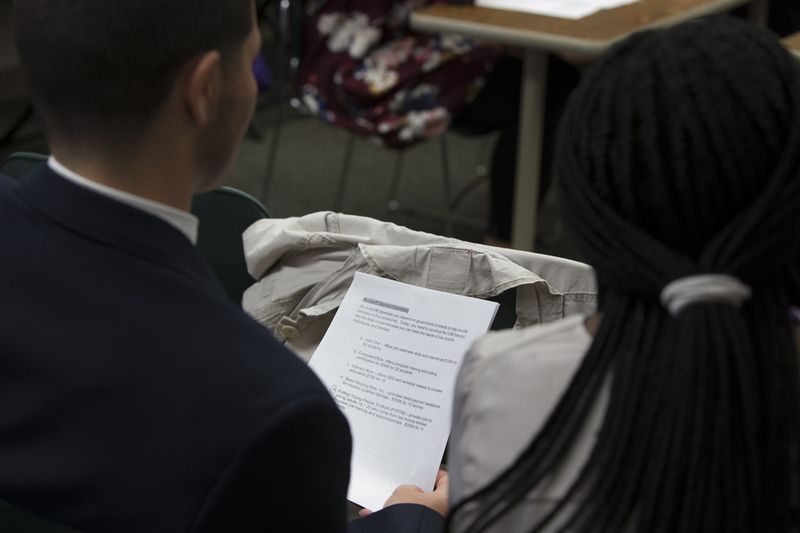 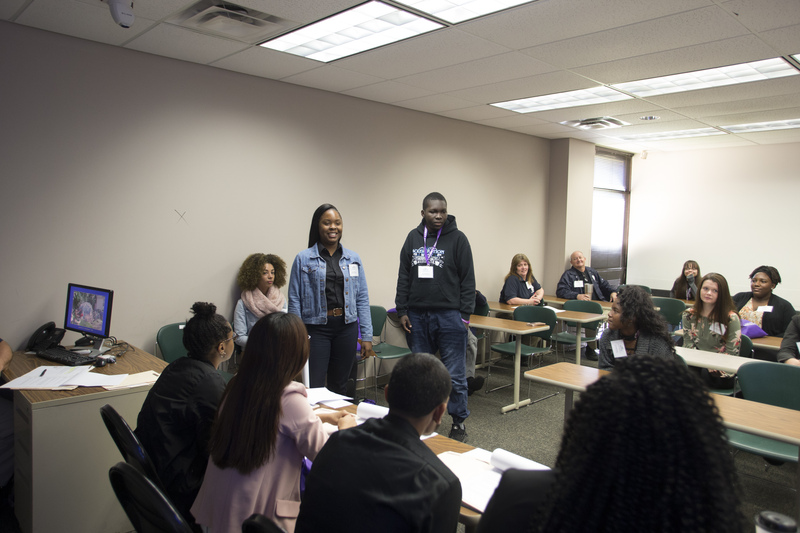 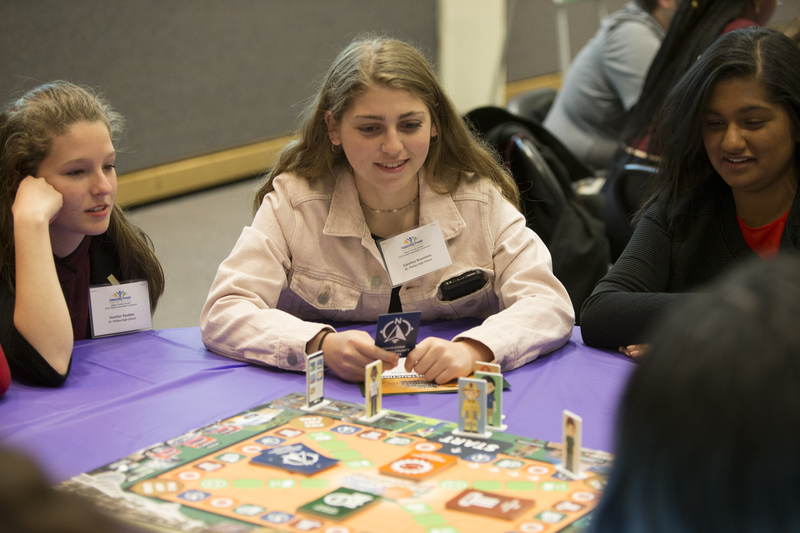 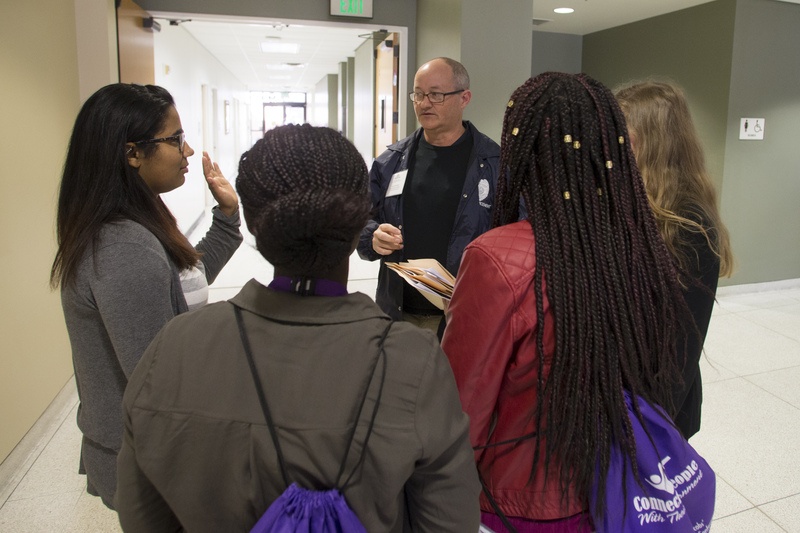 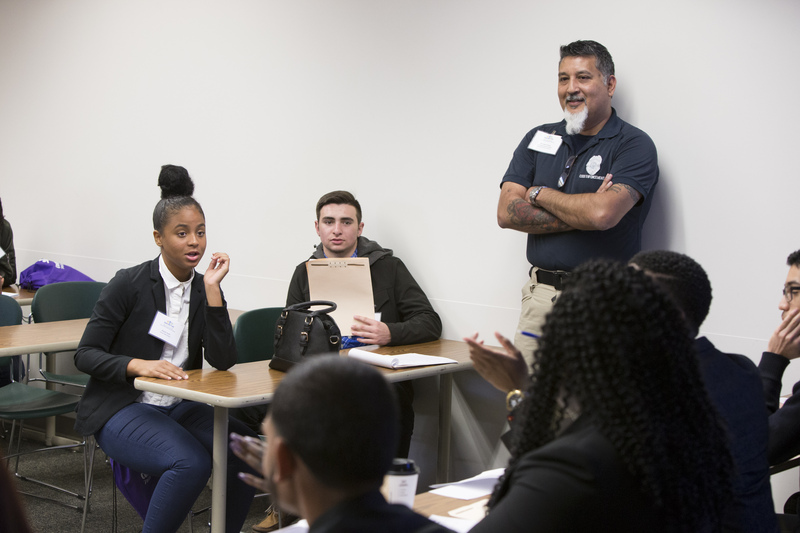 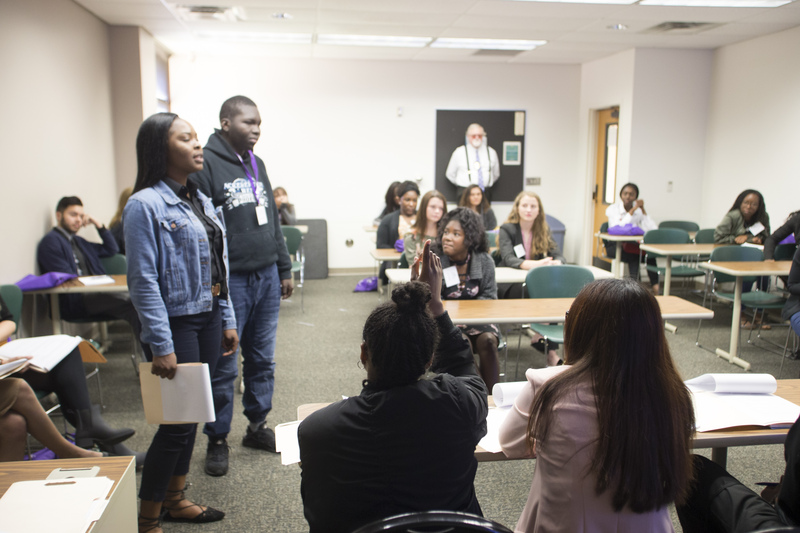 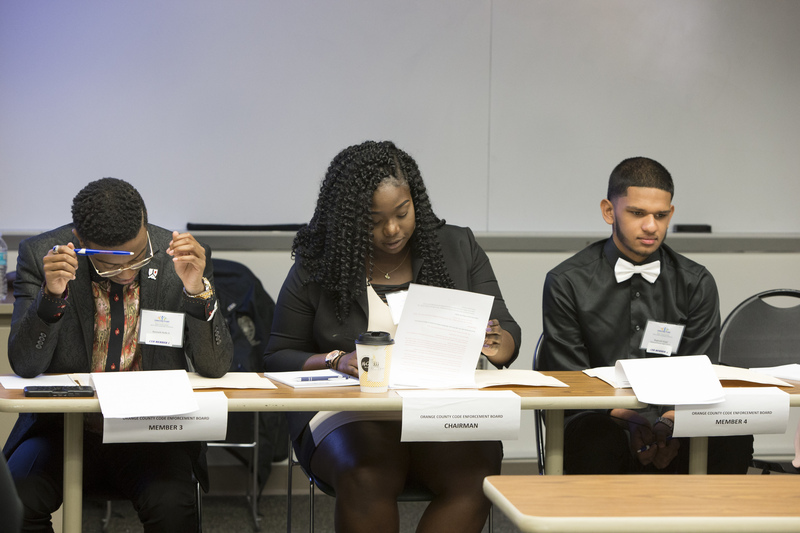 The workshops provided an opportunity for students to strengthen their leadership skills, learn how government functions and how to participate in community initiatives. 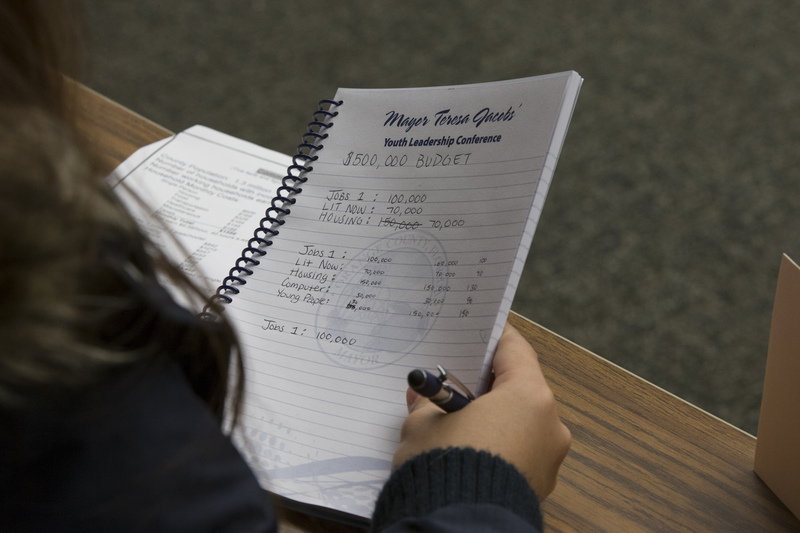 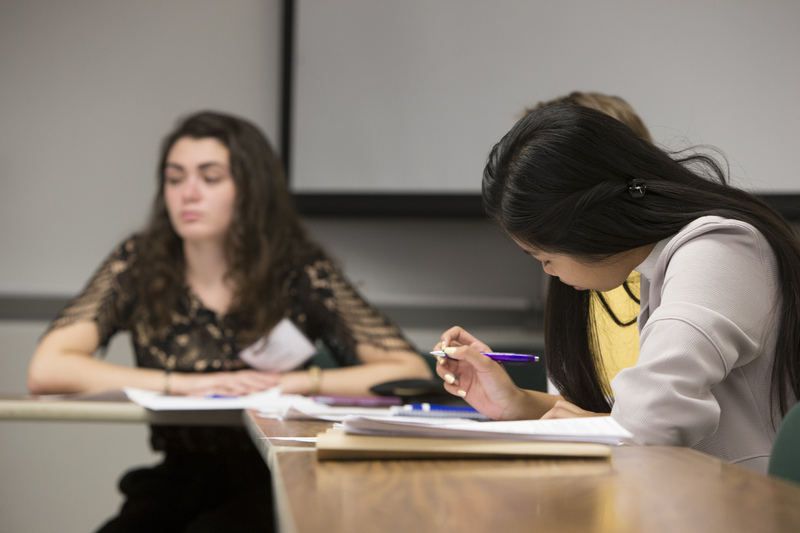 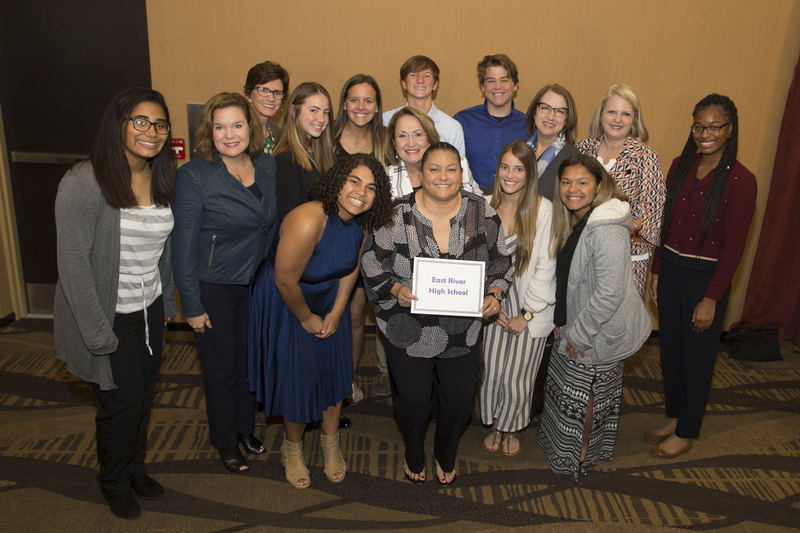 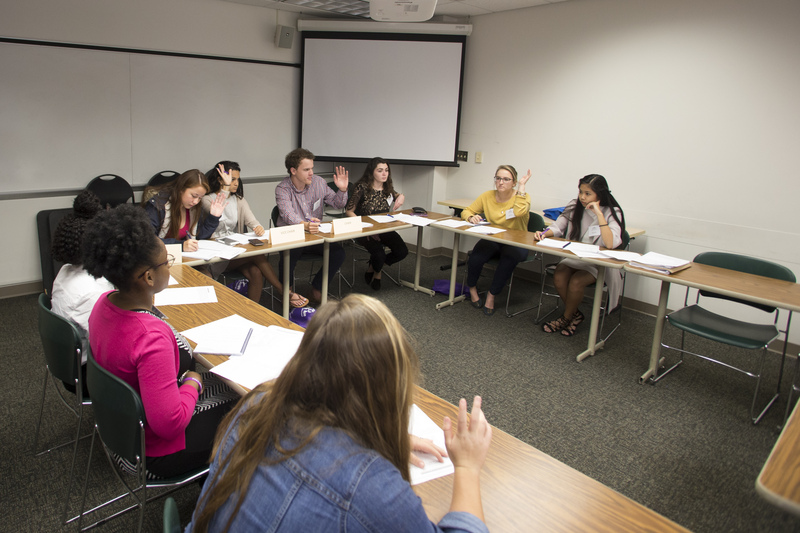 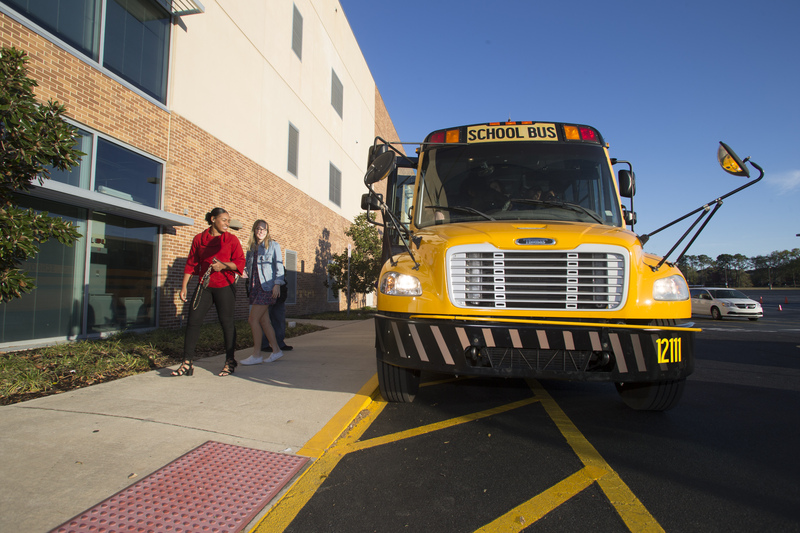 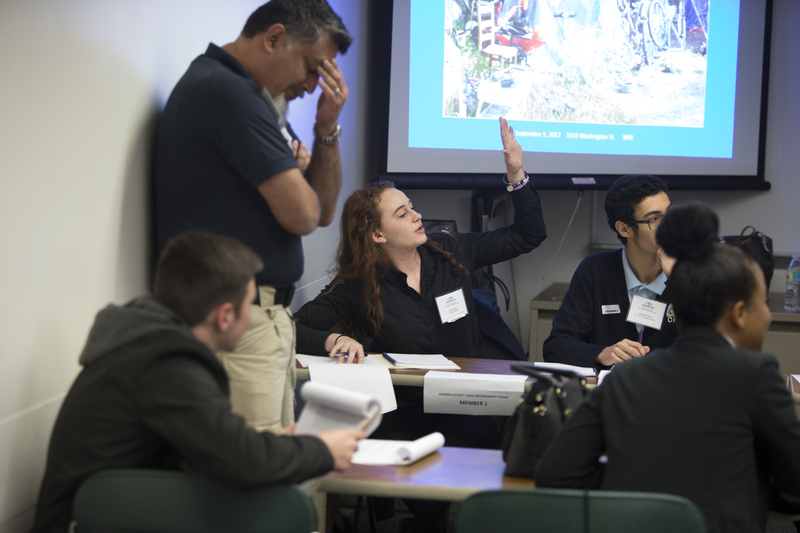 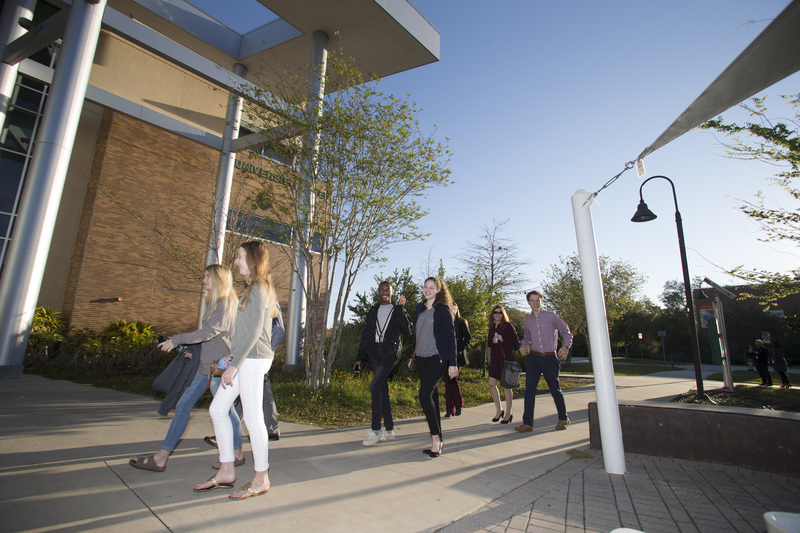 Students from Boone and Oak Ridge High Schools participated in a mock board meeting and were tasked with resolving their annual budget and conducting a needs assessment. 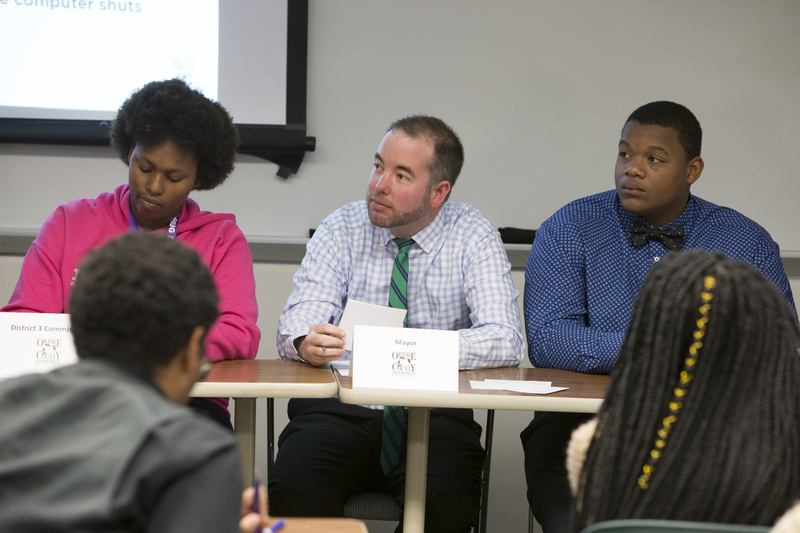 Students asked questions, made difficult decisions, and most importantly, worked together to succeed. 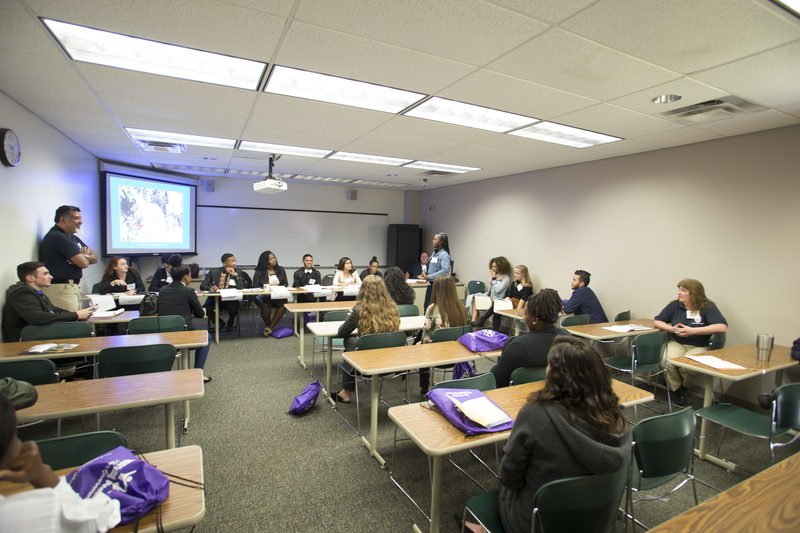 Students also joined in a Youth Issues Forum, an open discussion on important topics led and moderated by Mayor Jacobs. 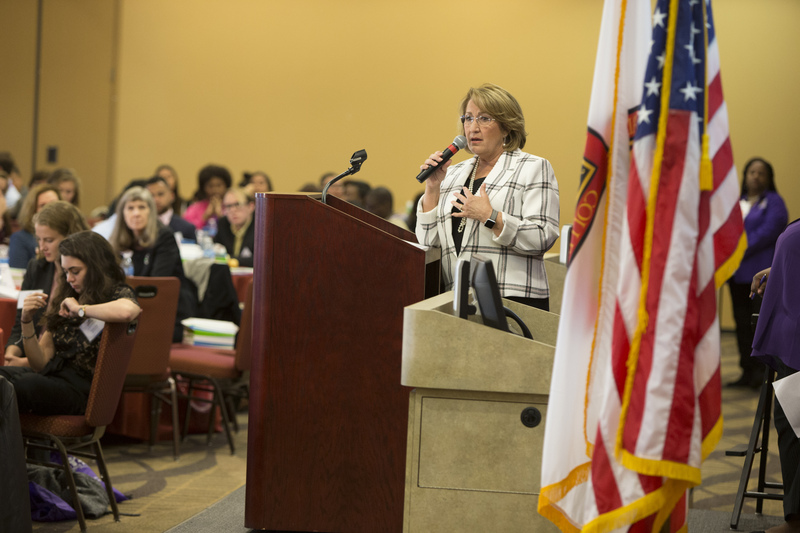 The top issues included regional infrastructure, social services and public safety. 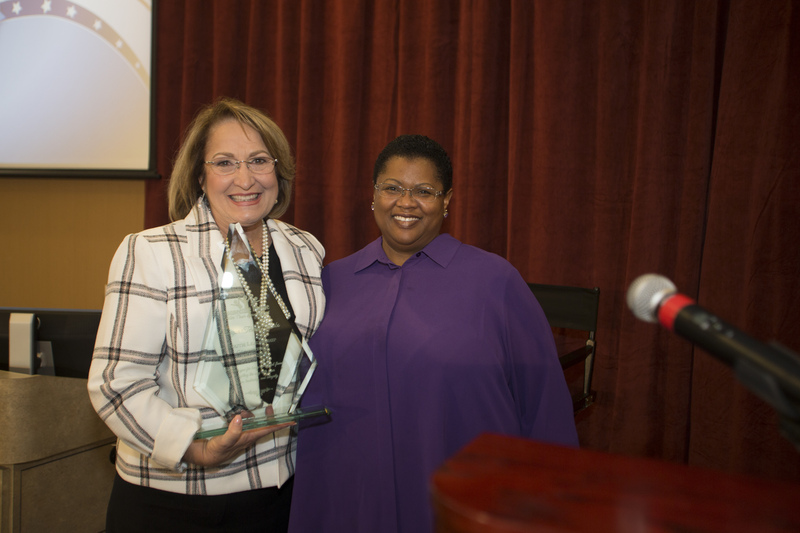 Following the forum, Mayor Jacobs was presented an award by the Orange County’s Neighborhood Preservation & Revitalization Office. 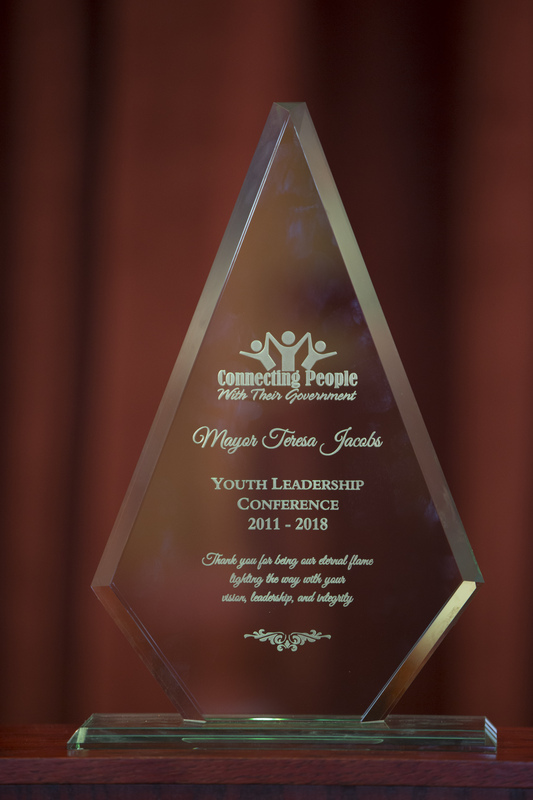 She was recognized for her leadership and for creating the Youth Leadership Conference initiative in 2011. 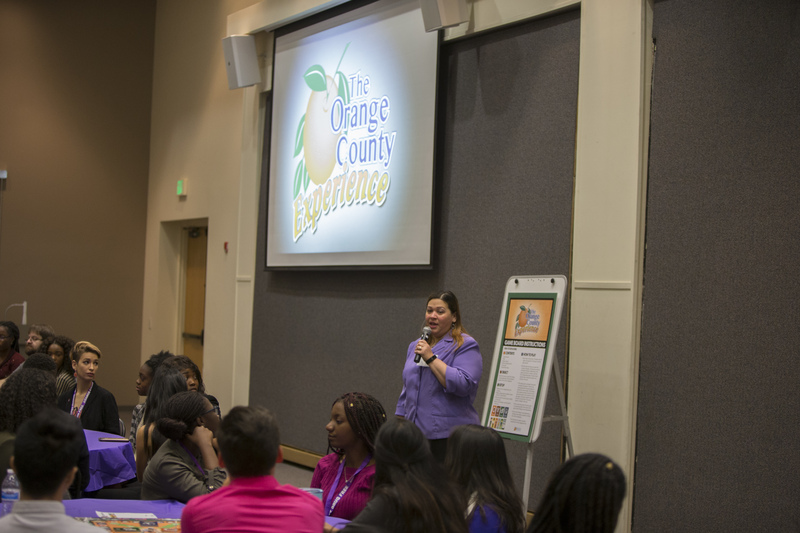 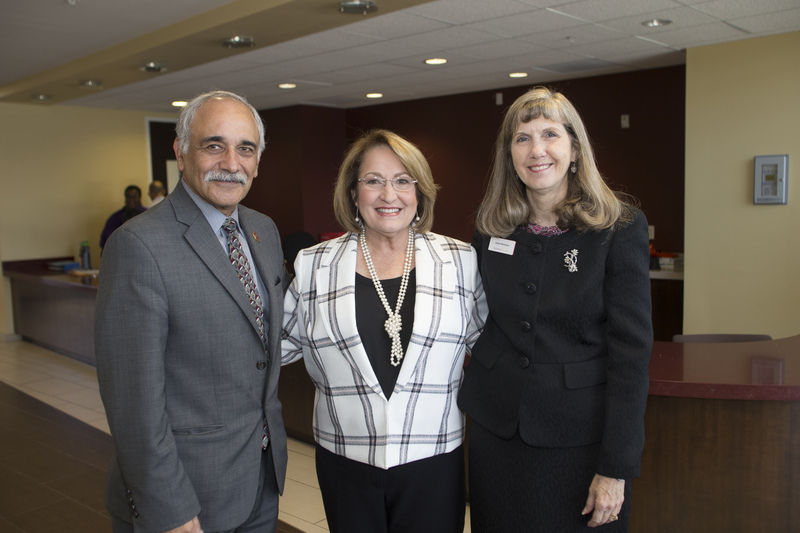 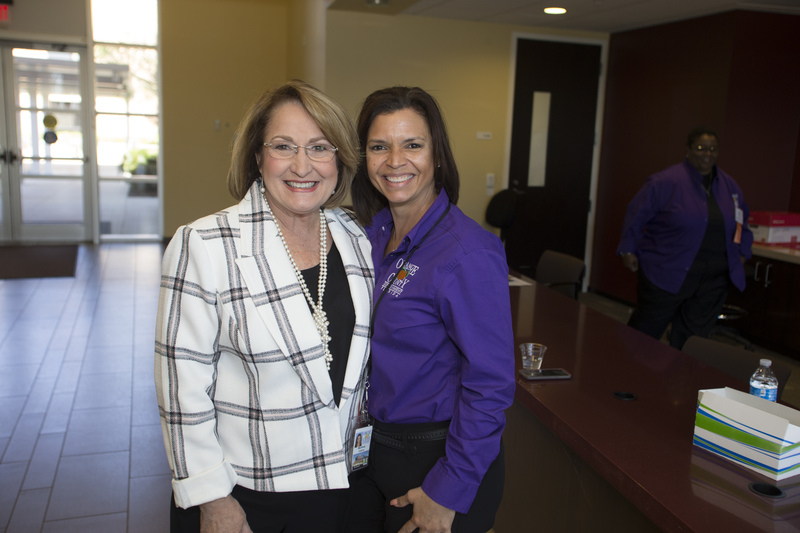 Valencia College Vice President of Educational Partnerships Joyce Romano commended the event and the students visiting the campus. 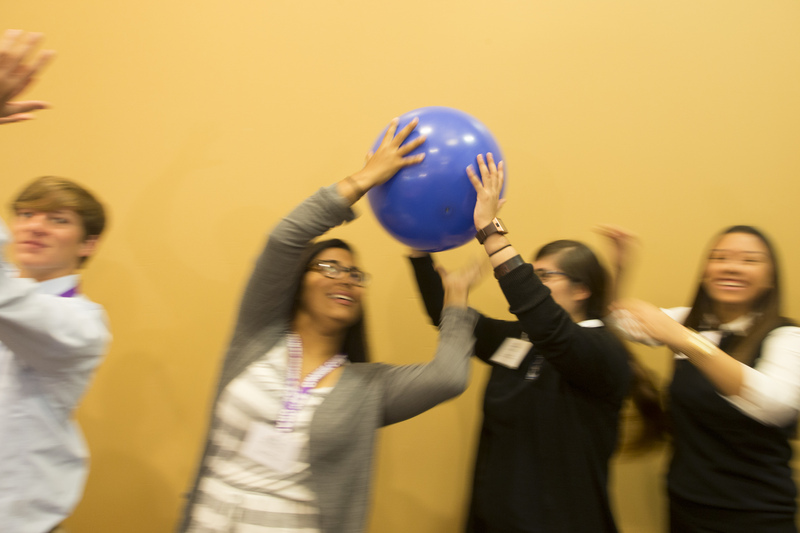 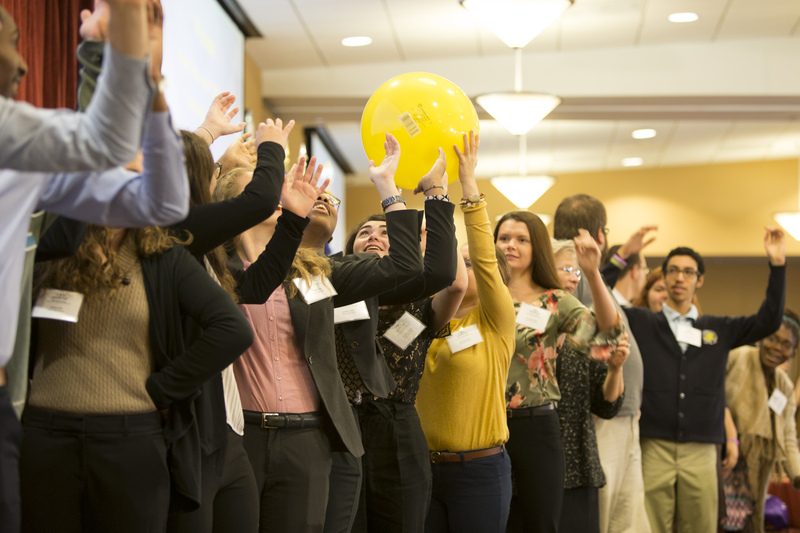 At the conclusion of the Youth Leadership Conference, many students left with a lasting impression of the day’s activities. 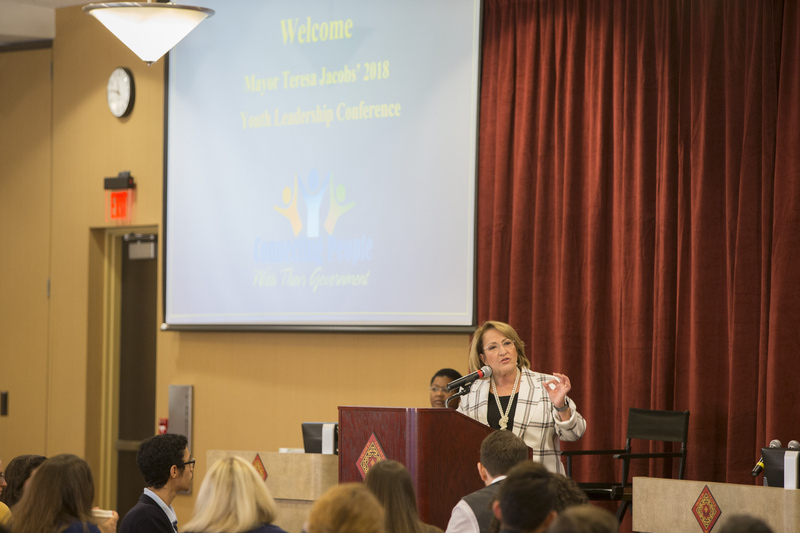 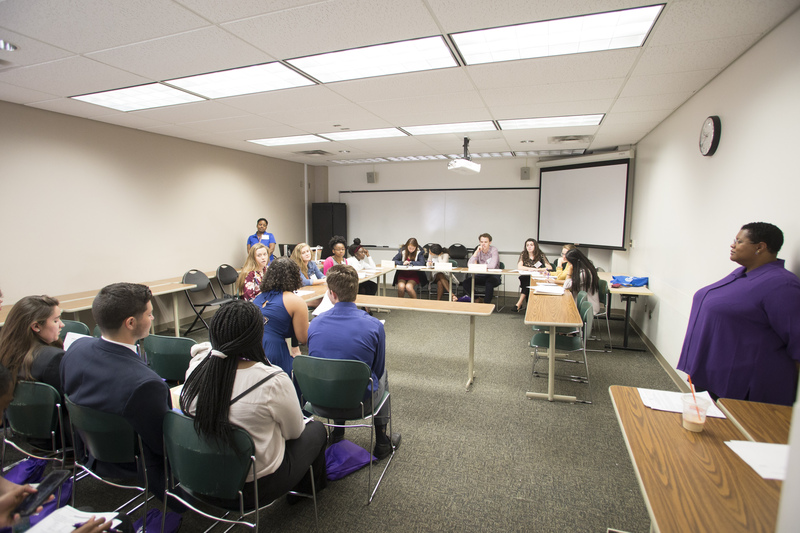 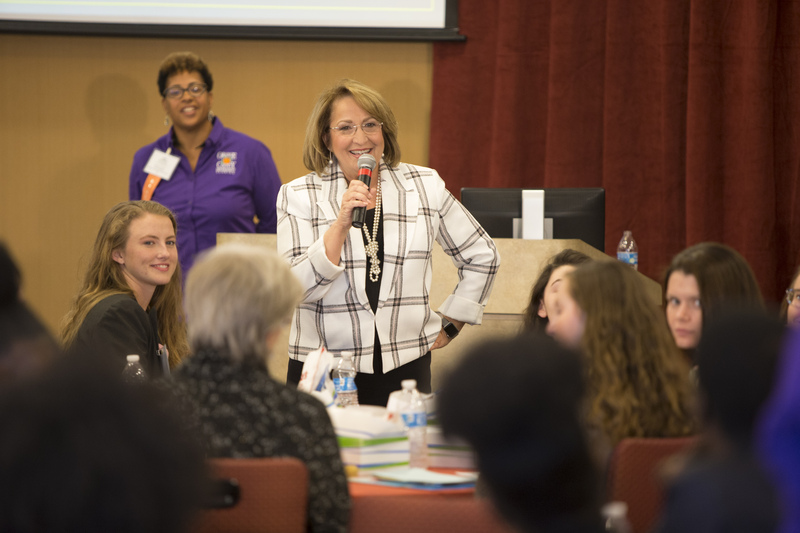 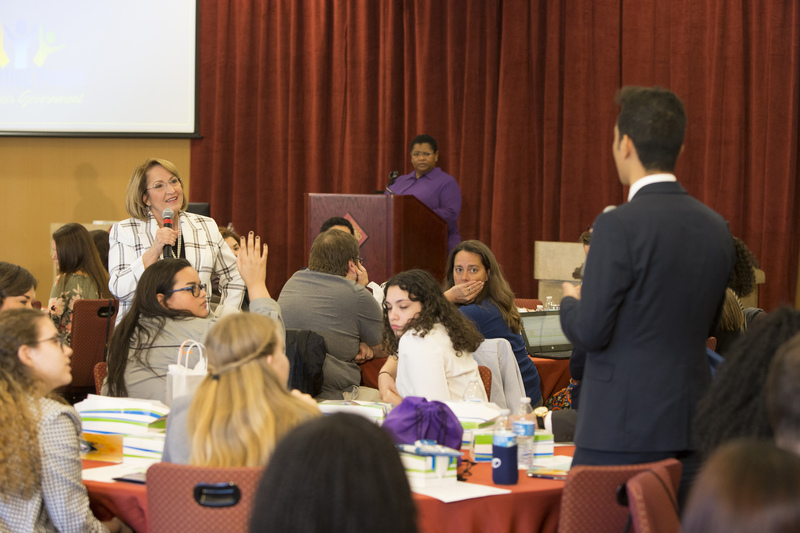 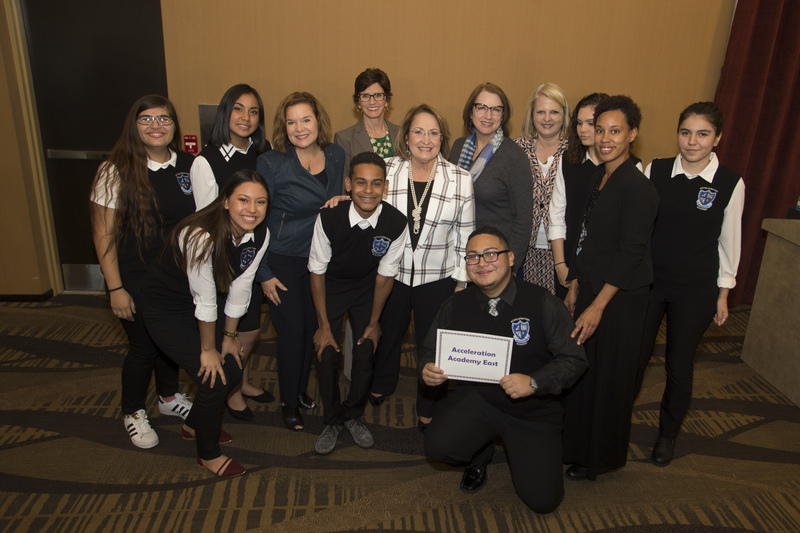 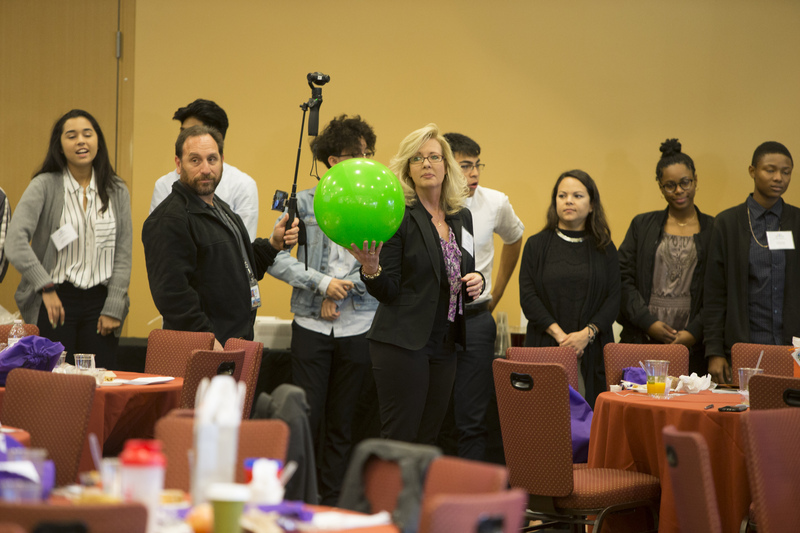 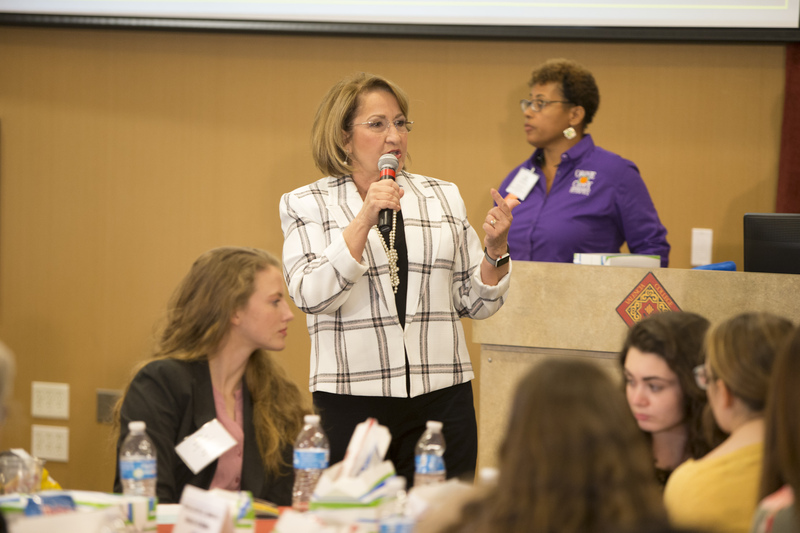 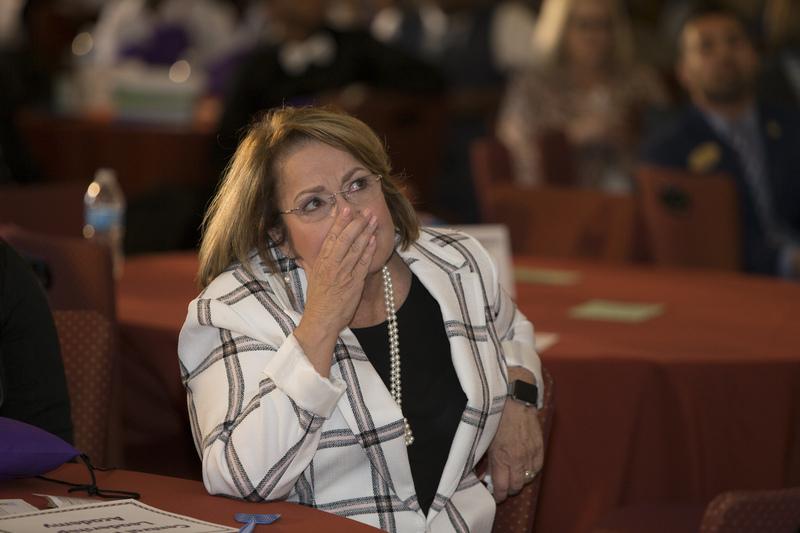 Photo Caption: Orange County Mayor Teresa Jacobs leads a discussion at the 2018 Youth Leadership Conference in Orange County.